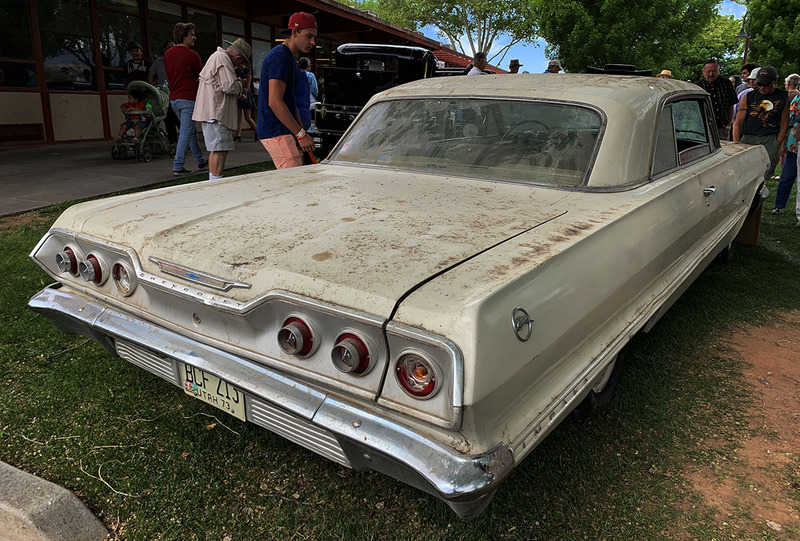 With all the fancy paint jobs and gleaming chrome at the 34th annual Easter Car Show in Hurricane, Utah last Saturday, the car that most stood out to me was in fact the dirtiest. 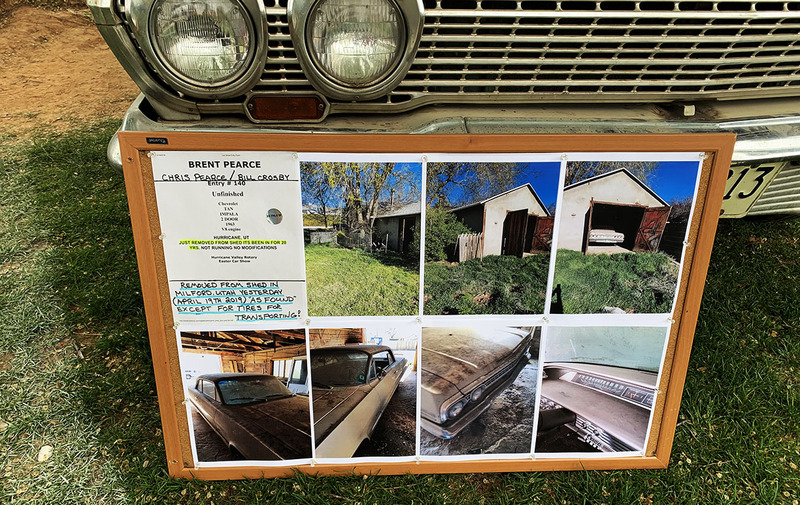 It was a 1963 Chevrolet Impala that had literally been pulled from a 20-year-slumber in a barn in Milford, Utah the day prior. 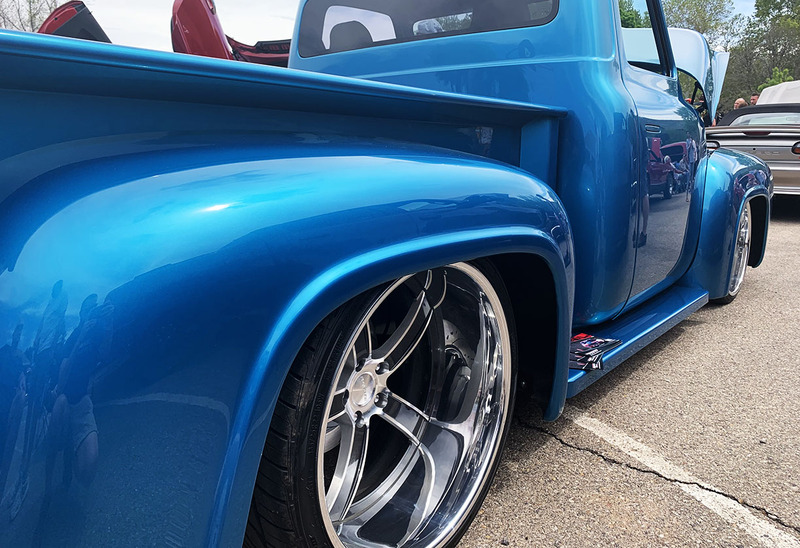 The only things touched prior to its entry in the car show were the tires, which needed replacement in order to facilitate transport. 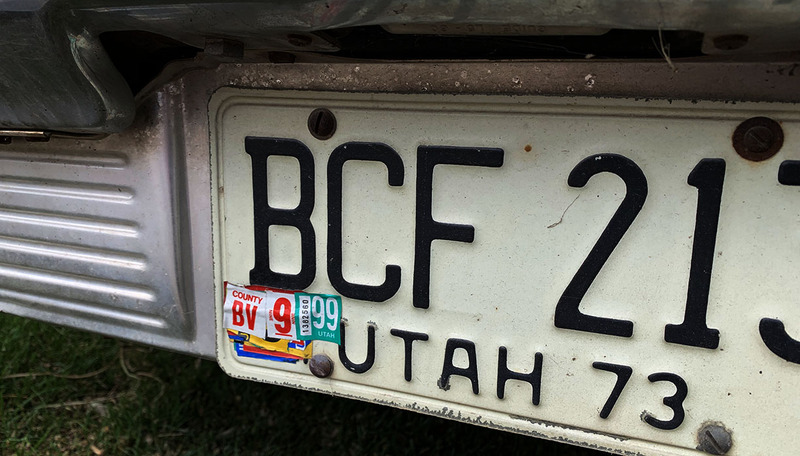 A registration renewal sticker on the back license plate confirmed – this car was last on the road around September 1999. I was a senior in high school at that time. It seems like eons ago. Even the interior remained filled with dust and had a crusty paperback book sitting on the backseat. 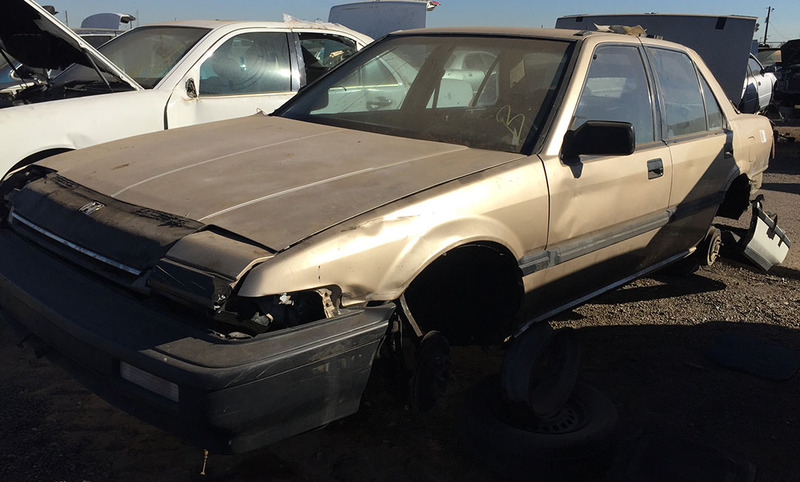 There is something so fascinating about a “barn find” vehicle – a certain mystique, like the feeling of encountering buried treasure. 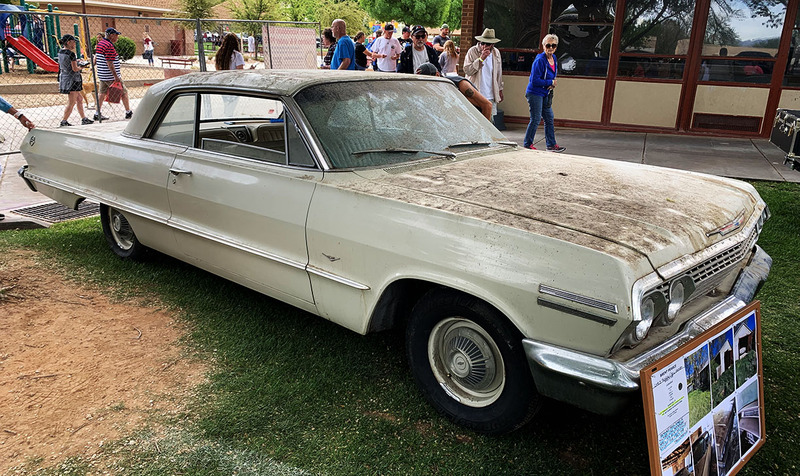 I’m sure it took a lot of restraint for the owner, Brent Pearce, to resist wiping off the dashboard or at least running a vacuum through the carpet. 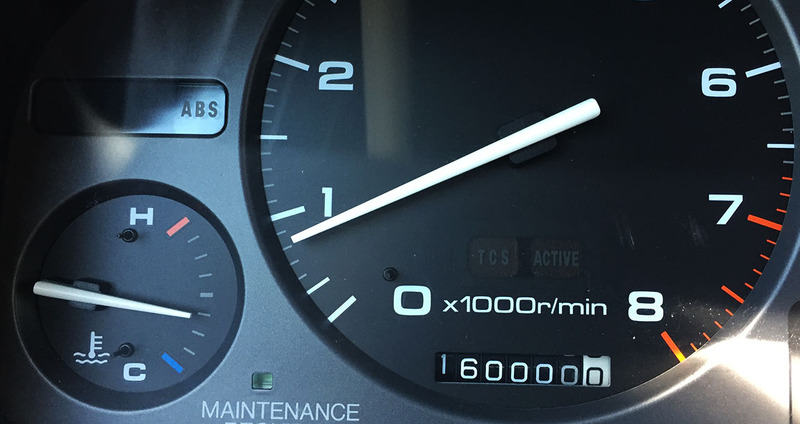 I neglected to take a look at the odometer (I know, of all things) but given this car’s condition, it looked to be a low-miler. 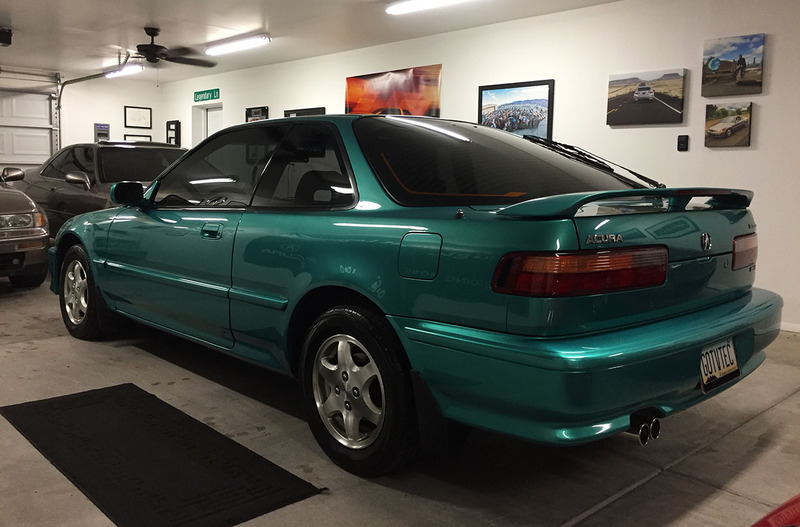 I’m sure it will take some time, effort, and money to get its V8 engine to awaken from a deep 20-year-slumber. 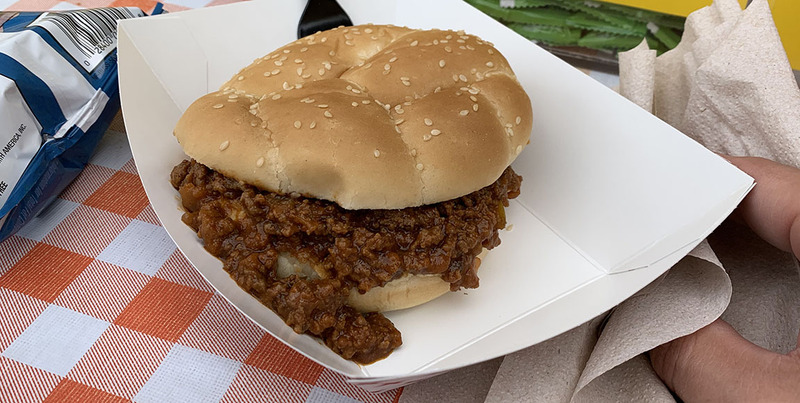 My second favorite thing about the car show was this $6 sloppy joe. 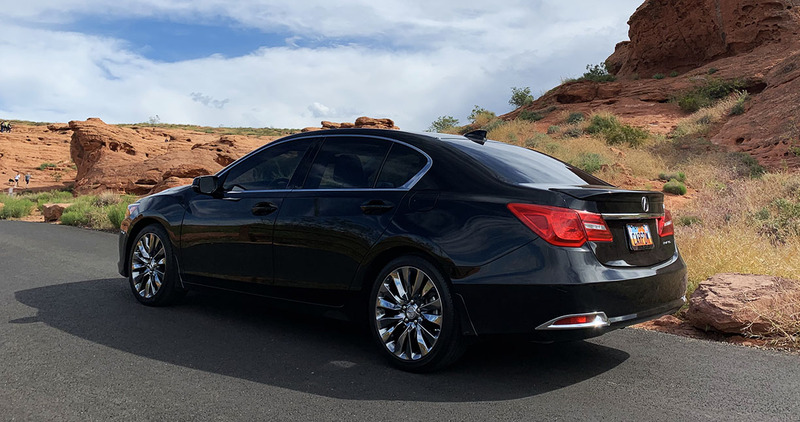 I had an enjoyable weekend in southern Utah with family and friends, especially since mom (pictured below) let me borrow her “new” Crystal Black 2016 RLX as my rental car for a few days. I enjoyed tooling around my old digs and doing it in style. The seat belts make a satisfying “tug” at you when you buckle them, and when you take a corner at a moderately high speed. Fit & finish are top notch, and the audio system rocks. 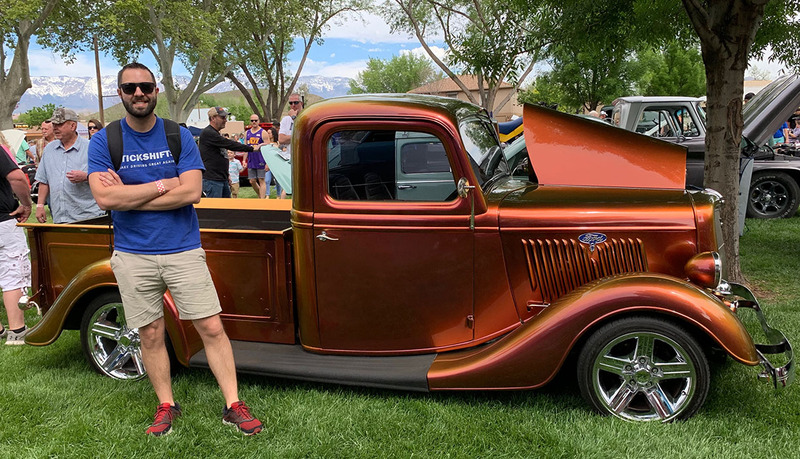 The other noteworthy vehicle at the show was my brother’s 1954 Ford F-100 pickup. It’s powered by an engine from General Motors, which is a little odd. The supercharged “LT4” V8 was tuned to 650 horsepower by Blake Foster from Speed Tech Performance. Body work is perfect, and that “Snapper Rocks” paint color is one of BMW’s offerings. 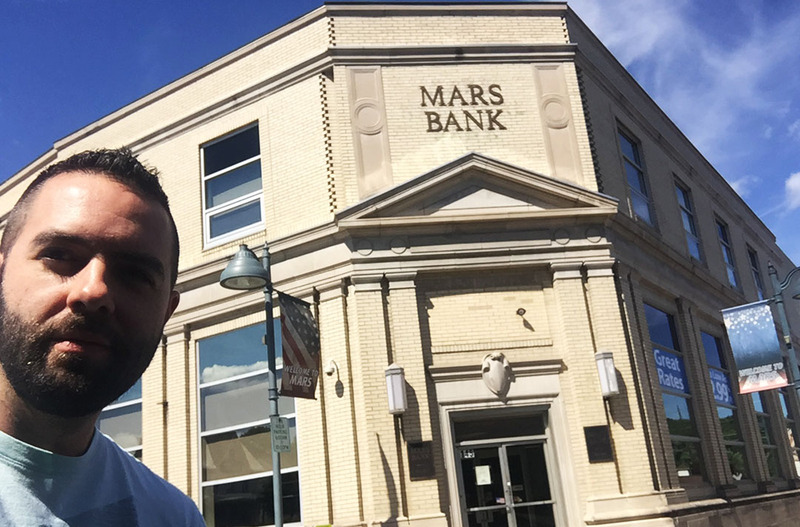 Here’s a short walkaround along with Q&A with Blake who was there representing his business. 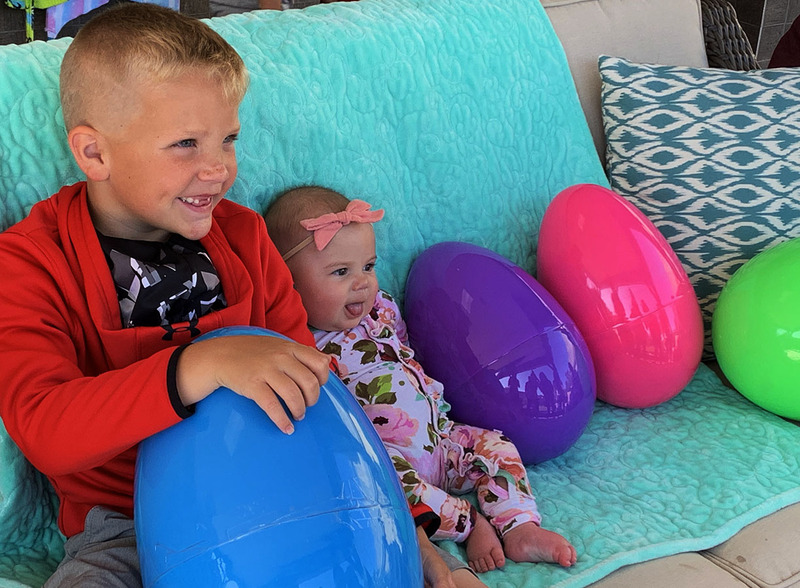 We got the family together on Sunday morning for a 500-egg (!) Easter hunt. Luckily some of the eggs were bigger than my 4-month-old niece Ava, so they were easy to spot. 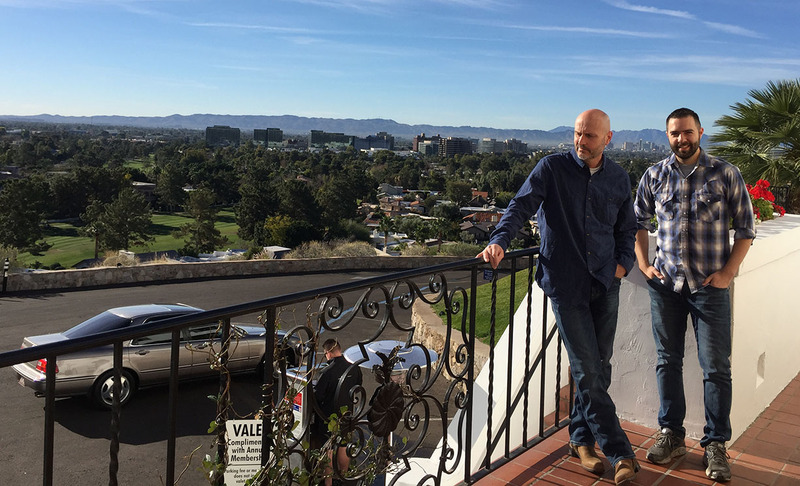 Thanks to my friends David and Matt for their recent visit! It’s rare for me to get on a plane, but somehow I still find a way to get my dose of high-mileage even when I do. 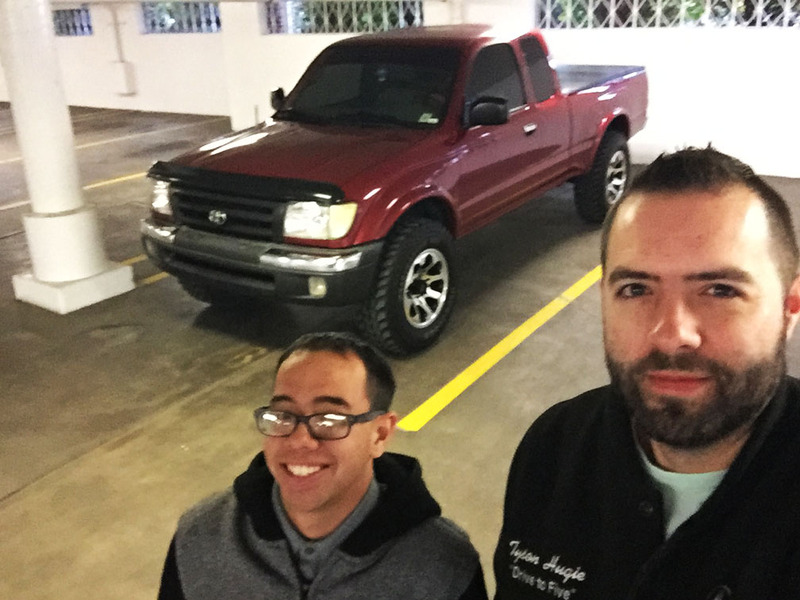 My friend Matt picked me up from the Salt Lake City airport last Friday in a 333,000 mile Honda Pilot. Now that’s my kind of shuttle. 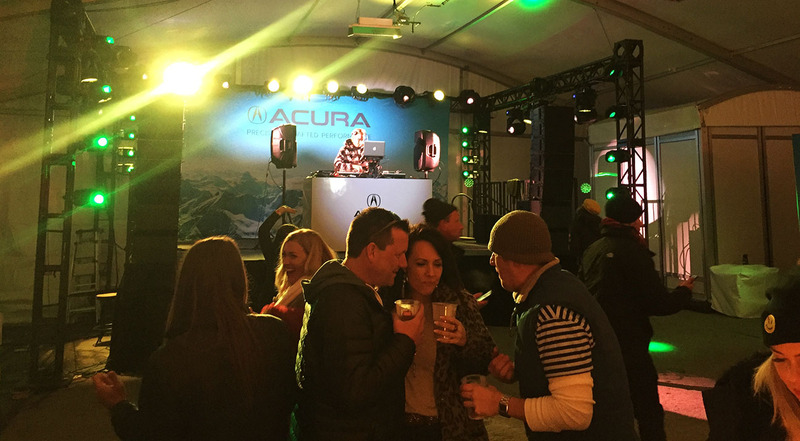 Once a year, each January, a piece of the cinematic world descends upon and revolves around a small ski town about 30 miles east of Salt Lake City, Utah in the Wasatch Mountains. 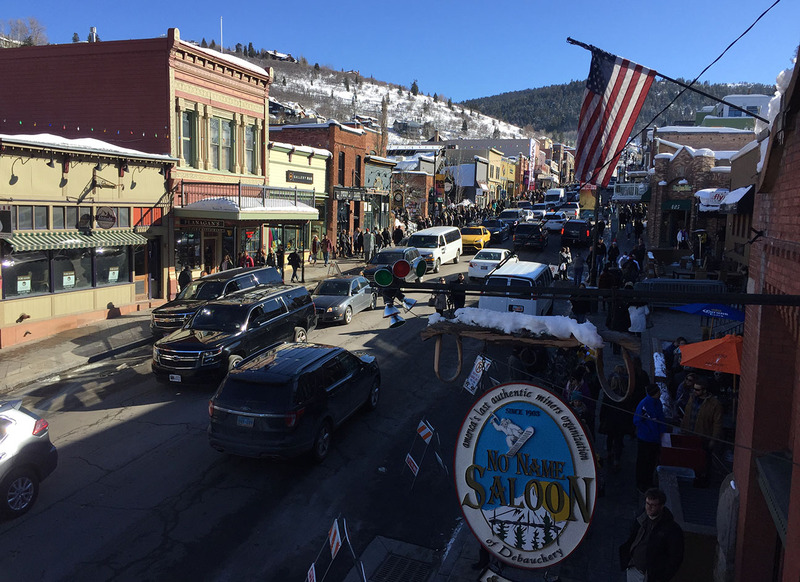 The main street of Park City Utah bustles with celebrities, media, and film-goers as over 100 independent films are shown over the course of a 10-day festival. 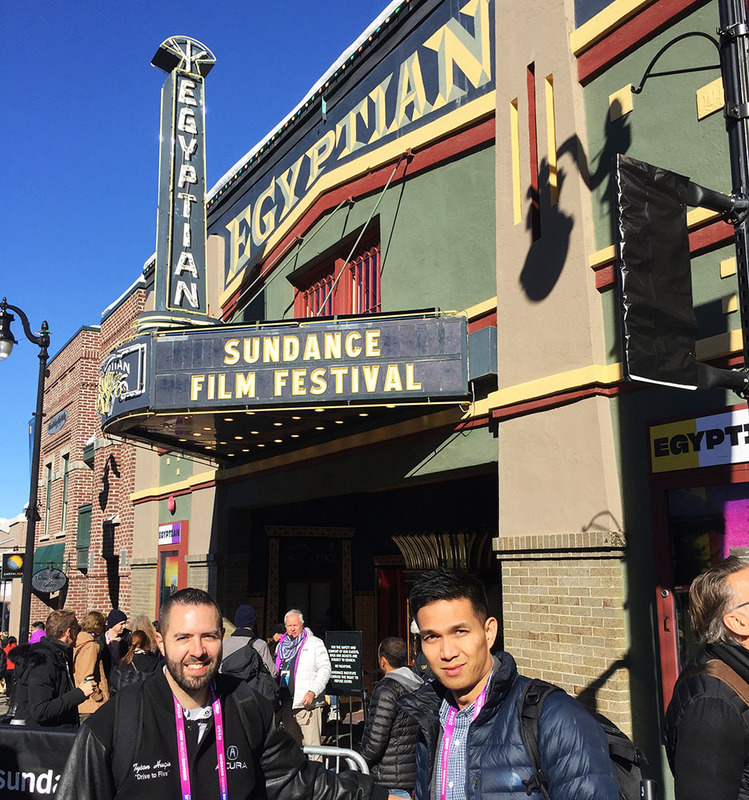 The Sundance Film Festival is the largest independent film festival in the United States. 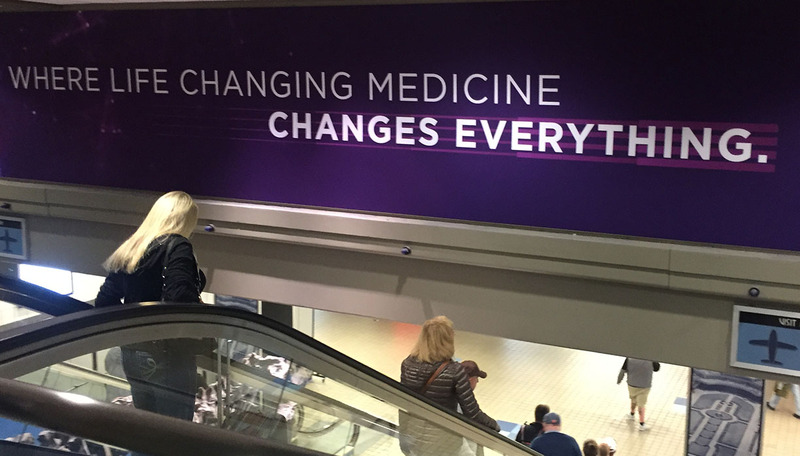 It draws nearly 50,000 attendees per year and has been around for over 40 years now. 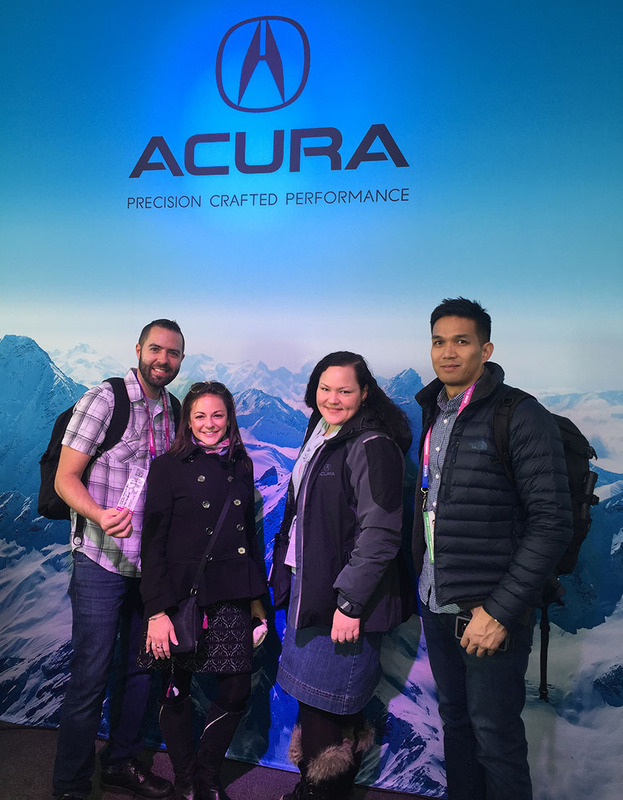 Acura came into the picture in 2010 as a major sponsor along with Chase Sapphire, YouTube, Stella Artois, and other companies. This year, I scored myself a media credential to attend the festivities as a journalist. 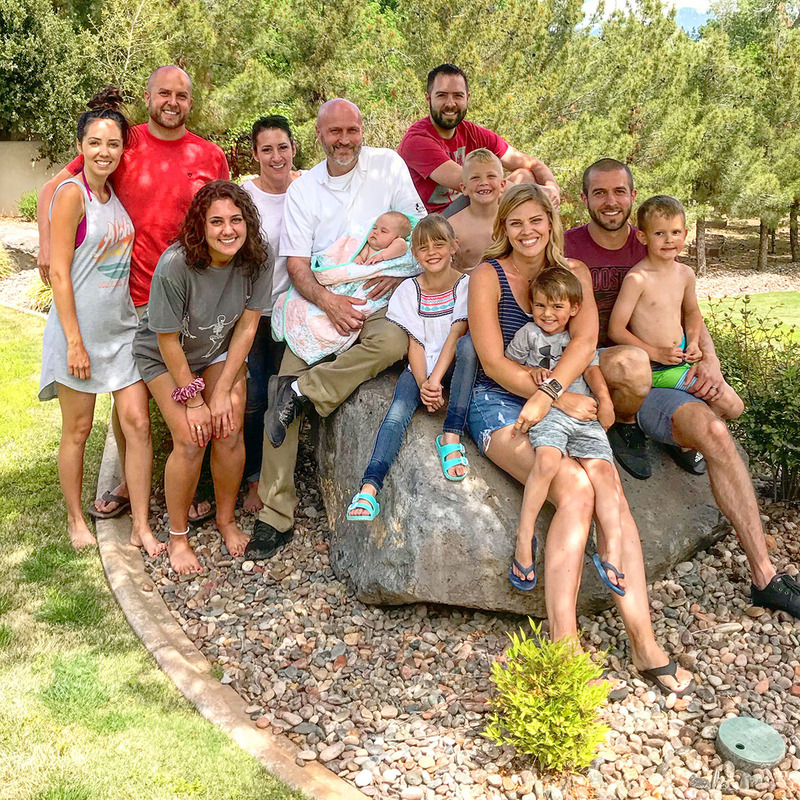 In all, I spent 2 full days in northern Utah being a part of some of the events – and action-packed they were! My seatmate on Friday afternoon’s 90-minute flight from Phoenix to Salt Lake was working on a film script via laptop computer. 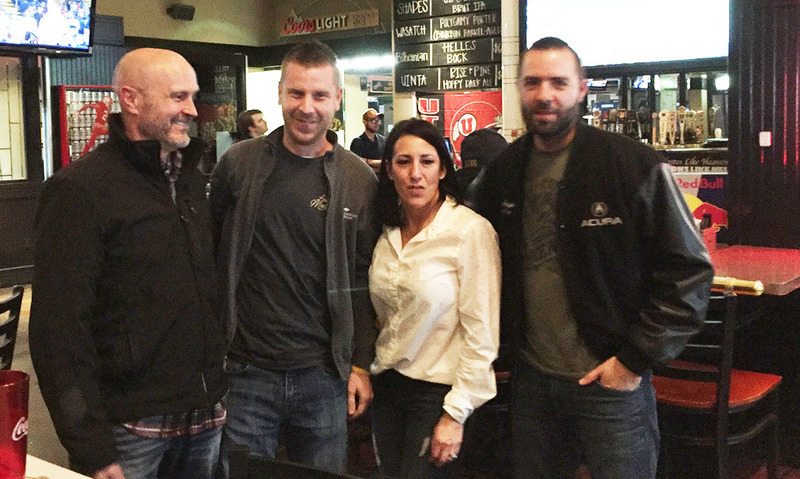 I made it to SLC that evening in time for a reunion with AcuraConnected‘s Chris Tobias as well as a local friend named Shaun. Another friend, Chandler, flew in later that night. Our day on Saturday morning started out with an ascent up Parley’s Canyon on Interstate 80 in Shaun’s RDX. 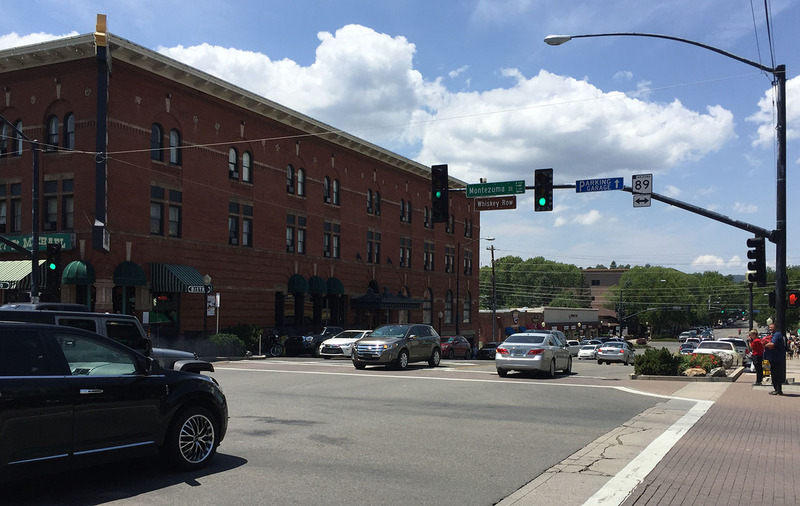 The traffic approaching Park City – a place accustomed to a mere 9,000 resident population – was heavy, and we knew it would be. The hub for press credentialing was the Marriott hotel on Sidewinder, so we checked in there briefly before making our way to Main Street. 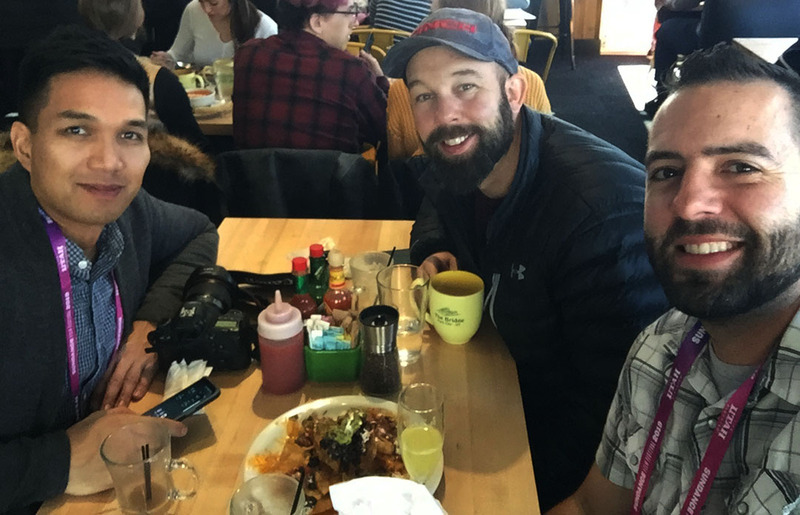 Park City’s beginnings started as a silver mining boomtown in the 1800s, but today the community thrives thanks to its ski industry and year-round recreation. 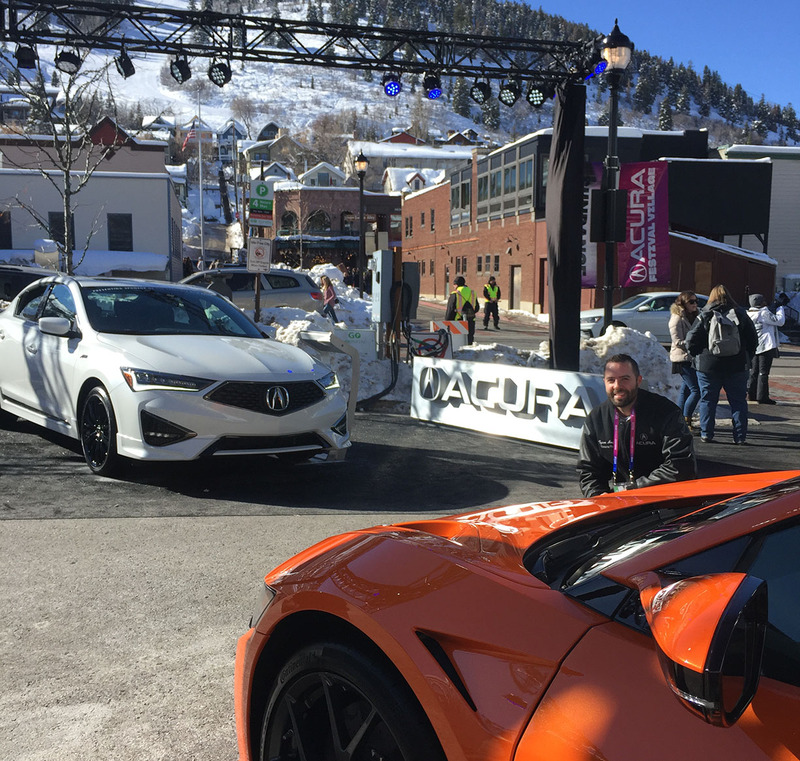 Most of the infrastructure along Main – and other adjacent streets – is completely overtaken for Sundance. Entire art galleries are cleared out and every inch of square footage is replaced with hospitality venues for the thousands of people who will come pouring in. 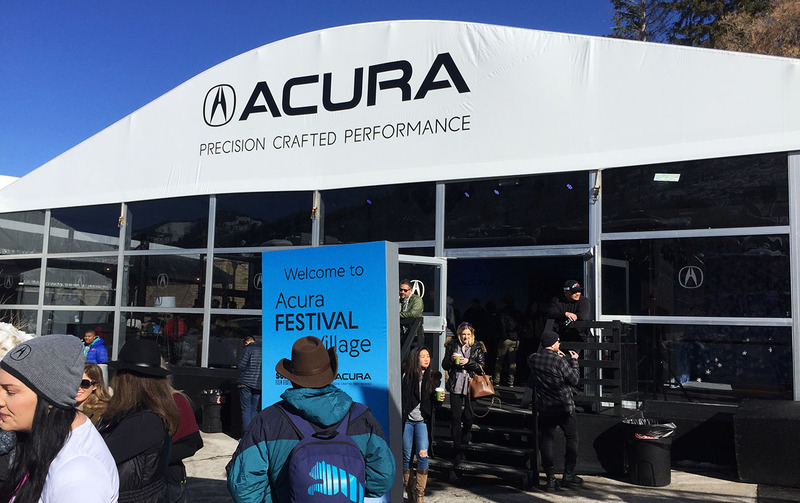 The Acura Festival Village – a large but temporary set-up – was comprised of a few tent-like structures, a public bathroom, and a trailer where interviews & panels were being held. 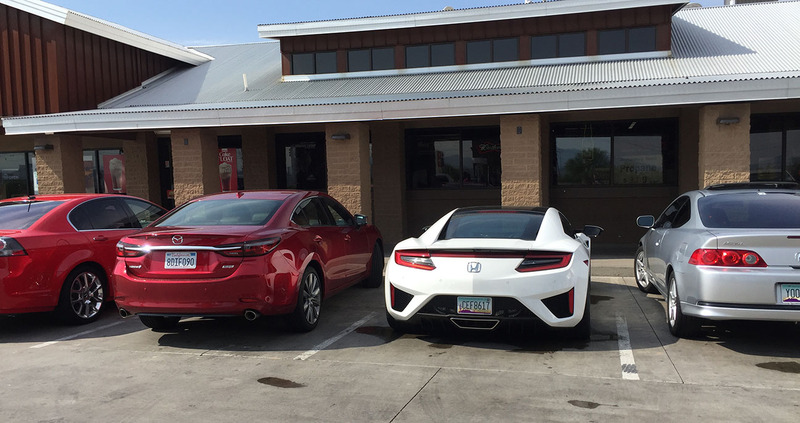 On display out front were 5 Acura models including the NSX, MDX, RDX, TLX, and ILX (the latter 4 in A-Spec trim). 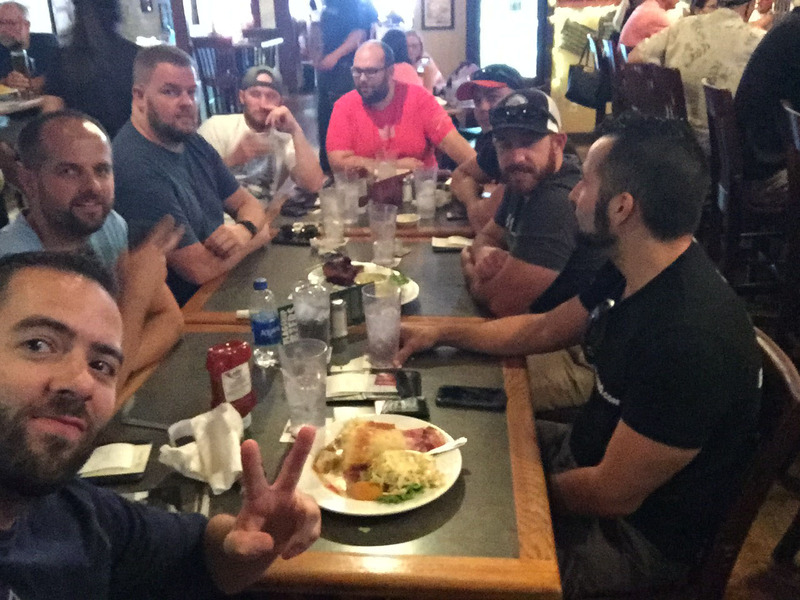 Chris, Chandler, and I had omelets at The Bridge Cafe to fuel ourselves up for a busy day before making the rounds. 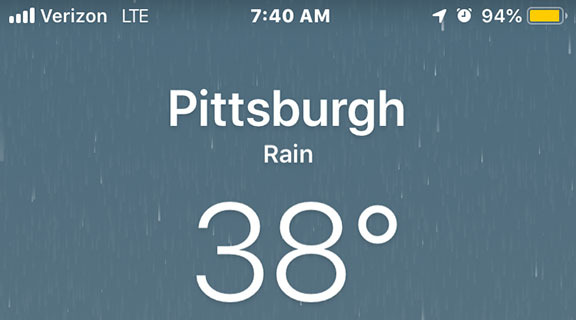 Luckily for me, I had my heaviest winter coat and some well-insulated shoes, because despite the fact that the sun was shining, our max temperature for the day didn’t go beyond freezing. 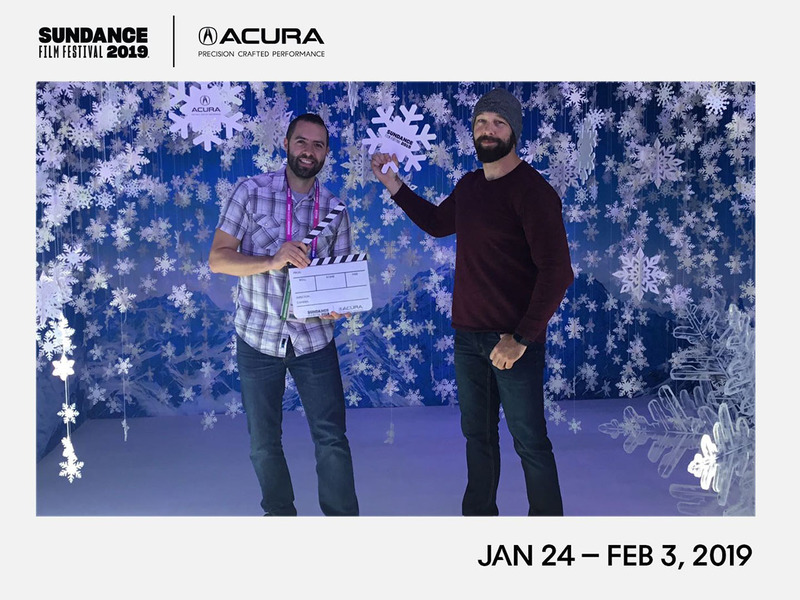 A helpful reprieve was the “hot beverage” bar at the Acura village, where I picked up a cocoa and we participated in a photo booth & interacted with a few friends from the Acura leadership team. The Egyptian Theater nearby, completed in 1926, had a crowd & line out its doors for the entire day. A variety of other theaters throughout the Park City area were also bustling with similar activities. Our press credentials gave us access to a balcony-level view of Main Street at one of the venues where we hung out and enjoyed the scenery. 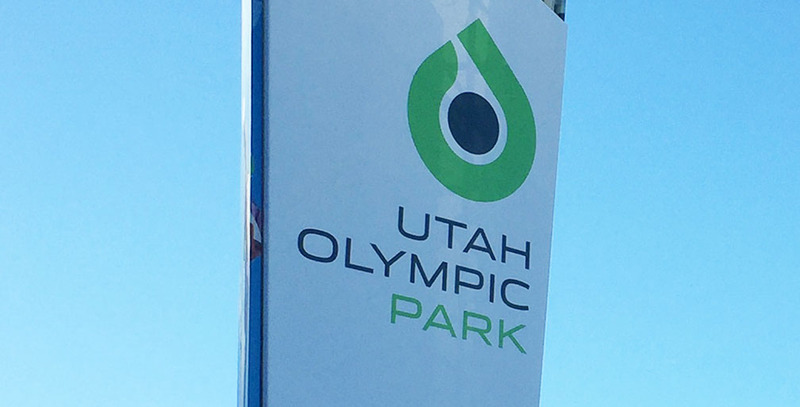 We took a break from the epicenter of activity to catch an Uber over to the Utah Olympic Park. It was built between 1991 and 1997 and later hosted the 2002 Winter Olympics. 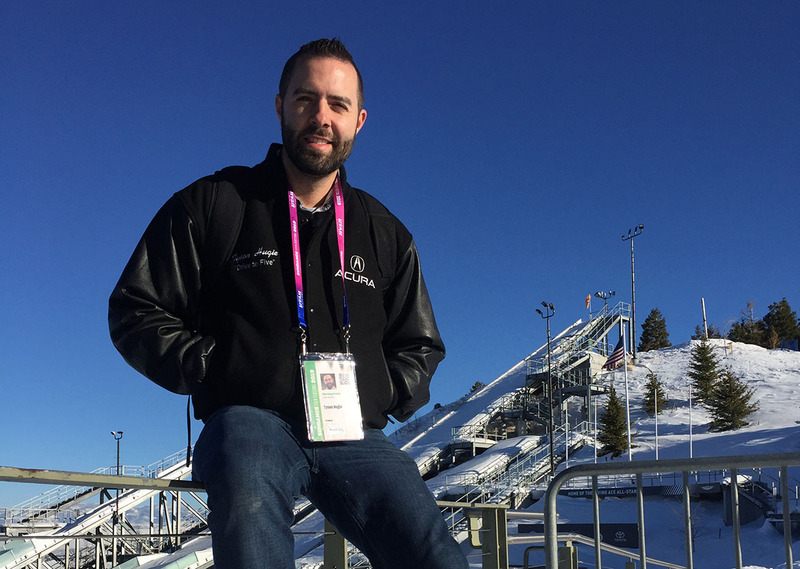 It features a ski jump, bobsled track, and other infrastructure that supported the Olympic activities of 17 years ago. Salt Lake City, by the way, is in the running for the 2030 Olympics too, so all that equipment may get used again. Another destination on our list for the day was a high-end resort nestled high up a mountain road called the St. Regis at Deer Valley. Standard room rates there start at around $700 per night. On the plus side, the hotel does have a free cocoa & s’more bar in the main lobby. I fixed a tasty hot chocolate complete with chocolate bits, marshmallows, and whipped cream to sip on while we enjoyed the sunset from the lounge. I don’t know if the pool was heated, but it sure looked inviting. 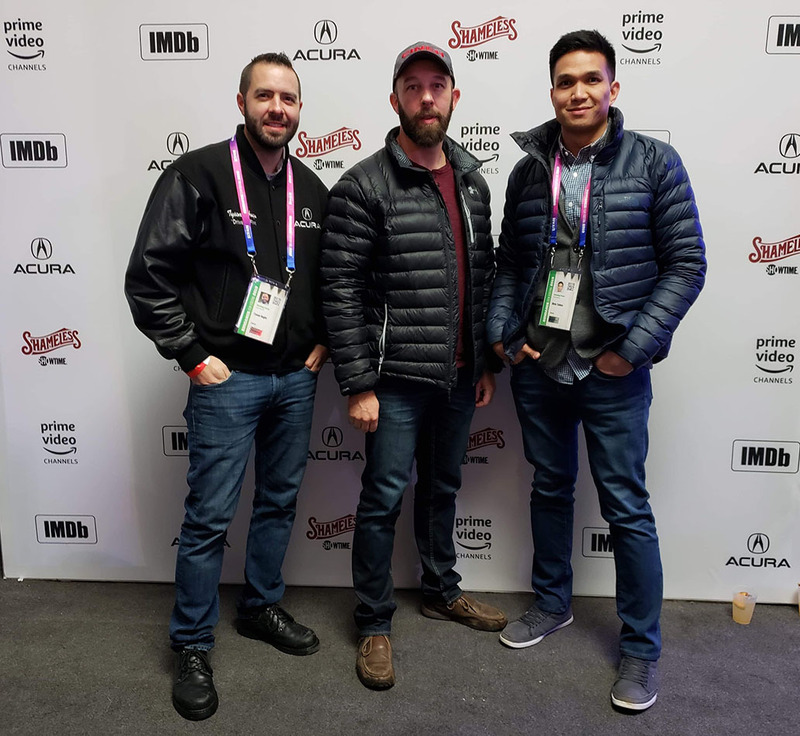 Here’s where our logistics took a little snag: An incoming Uber from Park City that was supposed to arrive in 6 minutes was seemingly stuck, and 20 minutes later, we decided to abandon wheeled transportation altogether and walk the mile and a half downhill on a snowy sidewalk. It was actually not all that bad. Our arrival back on Main was just in time for a somewhat comical attempt to find dinner. We approached six different restaurants about our wishes to get a bite to eat. 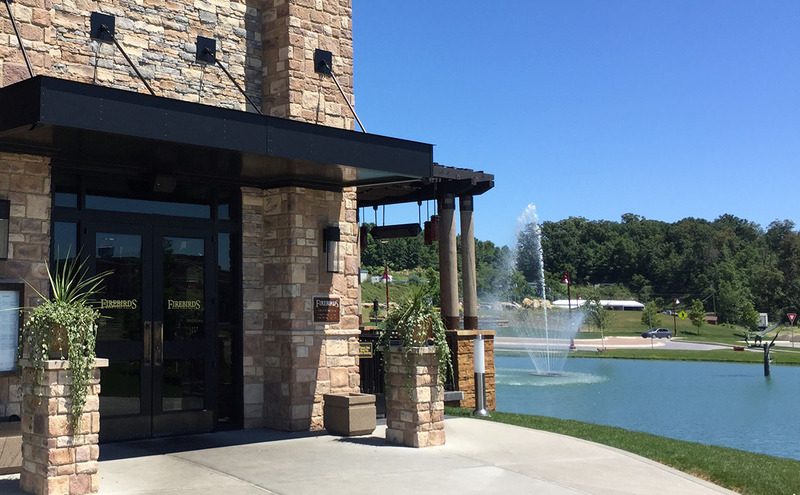 One told us there was a 3-hour wait, and a few told us we were simply out of luck unless we had a reservation. Finally, we happened across “Flying Sumo” which seated us in about 45 minutes and served up a tasty plate of teriyaki salmon. 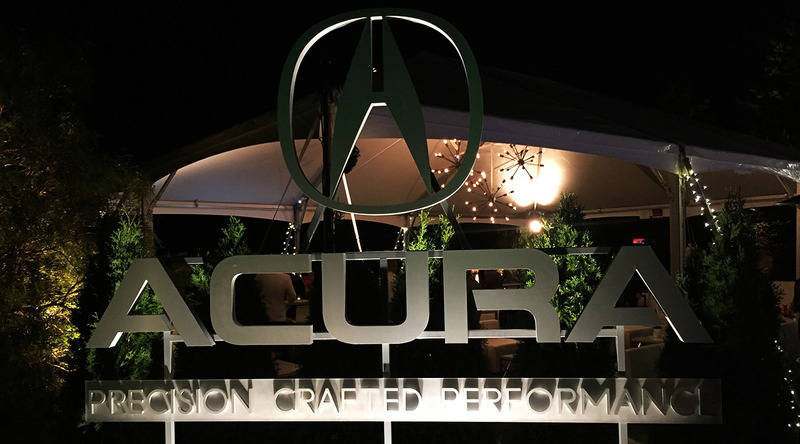 We spent the evening back at the Acura Festival Village for a party hosted in conjunction with IMDb and 3 cast members from the Showtime series “Shameless.” It was a rockin’ event, complete with energetic DJ’d music on the patio, beverages from Stella Artois, and a swag bag for every attendee. Chandler got a little star-struck when he saw Shanola Hampton, who plays Veronica Fisher (“V”) in Shameless. He was able to get a selfie with her. The night grew late and we’d spent a full day on our feet, so we summoned a Lyft and made the descent back to Salt Lake for the evening. 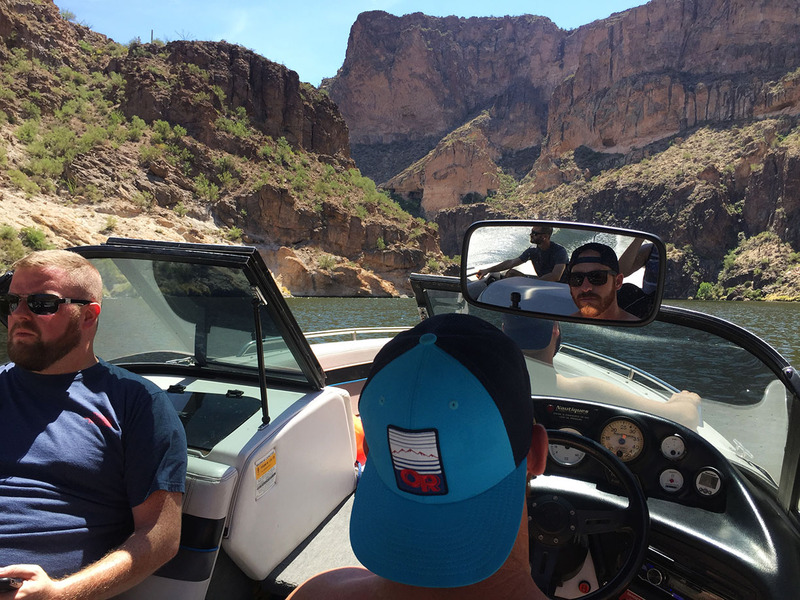 It was a memorable way to spend the day. 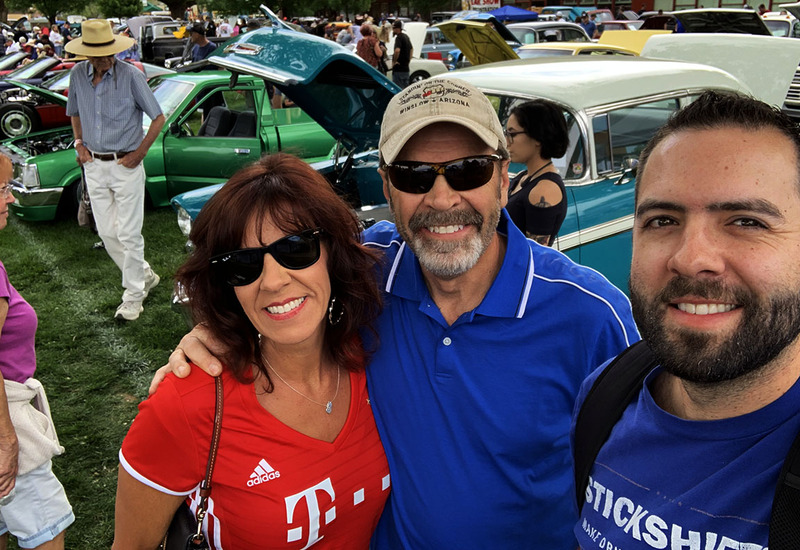 On Sunday, I connected with family and friends in the Salt Lake area, and on Sunday I spent about 12 hours driving my dad’s MDX about 720 miles home to Phoenix. There’s only one problem with all of this: I went to a film festival and didn’t see a single film. All the more reason to go back next year and experience it for a little more time! Thanks for reading, and enjoy the short video & additional pics below! I scored tickets to a film! Sadly, we didn’t have time to get there before it started. 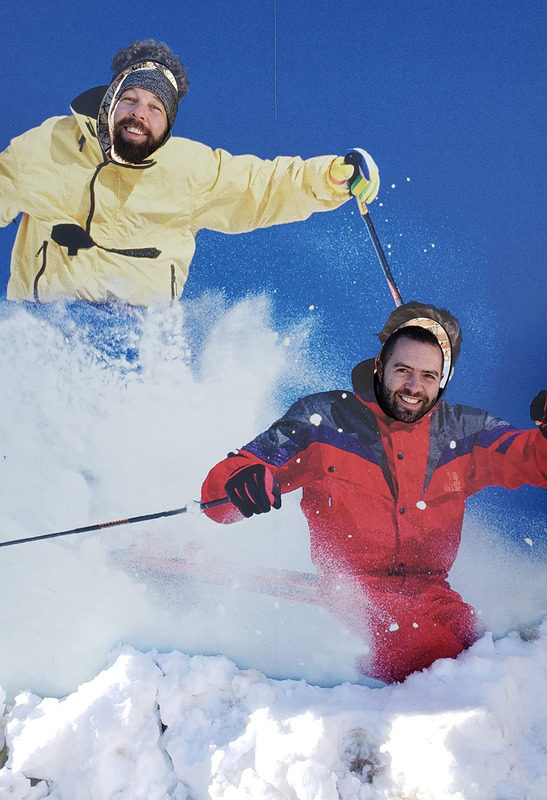 The only skiing I did was on this fake billboard! 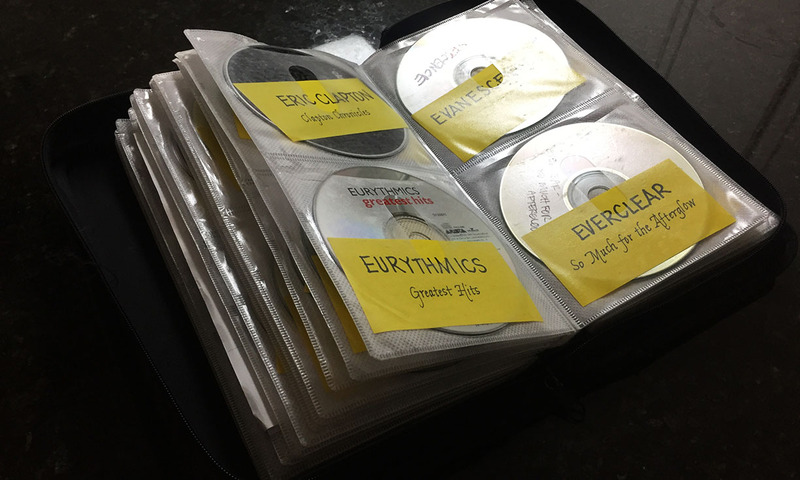 Kids today will never understand the struggle of juggling 3 of these bad boys in the car during a road trip: Huge compact disc albums, each holding 96 sleeves for seemingly unlimited playlist material. How else do you think I was able to stay entertained long enough to drive 500,000 miles? 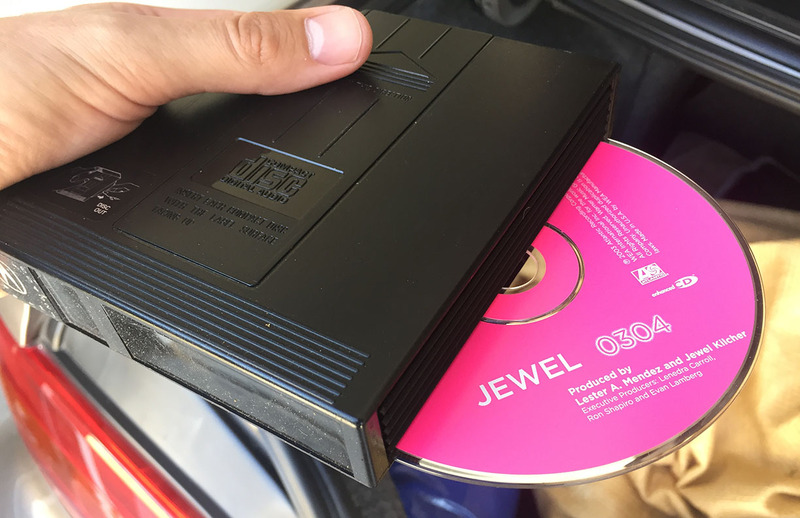 Little did I know when I picked up Jewel’s “0304” album in 2003 that I would be standing next to Jewel herself at a private concert 15 years later. It’s one of my faves! I loaded it back into my 6-disc CD changer just recently for good measure. There she is, in the flesh! Once again it was my turn to hobnob with society’s elite – even if just for a day. 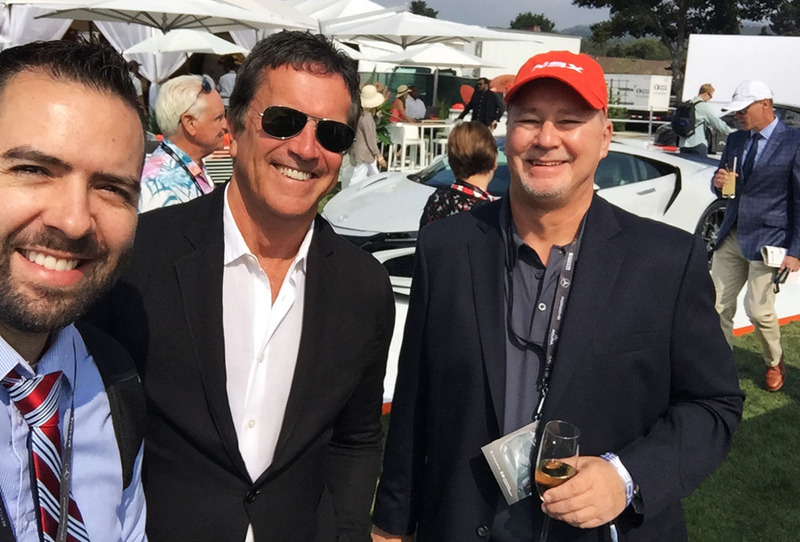 As I did last year, I attended some of the “Car Week” festivities along the Monterey Peninsula in the Bay Area of central, coastal California. The Integra got to ride out there on a transport carrier, but I caught a flight on Thursday afternoon and skipped the drive (I didn’t have time for a 24-hour round-trip adventure, as much as I would have loved to do it). This year was the first time for a new event called the Japanese Automotive Invitational. 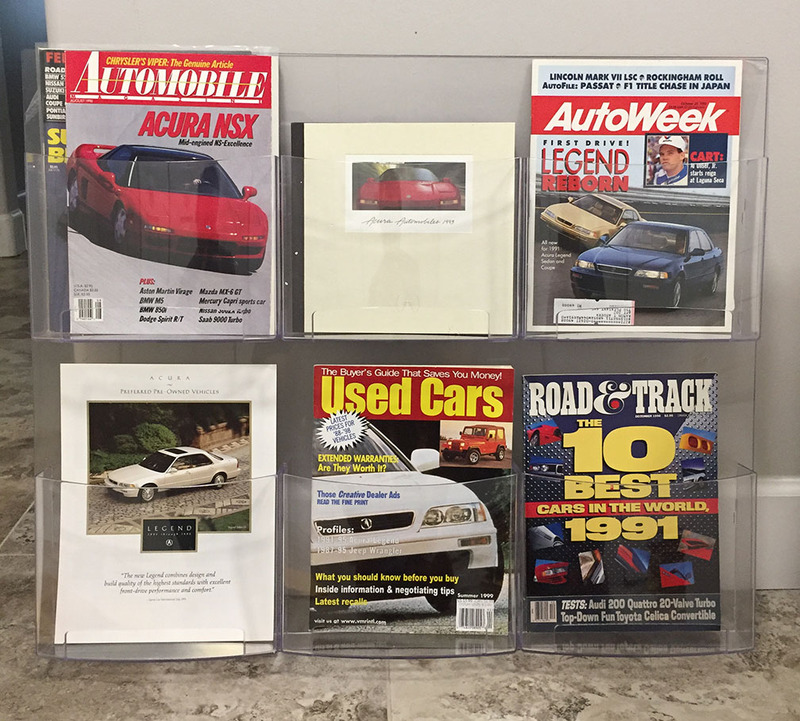 It’s no mystery that there is an up-and-coming appreciation for cars that historically haven’t been considered part of the “classic car” community. Shows like the Japanese Classic Car Show (JCCS) and Radwood are designed around capturing some of that movement. JAI has taken things to an even greater level. 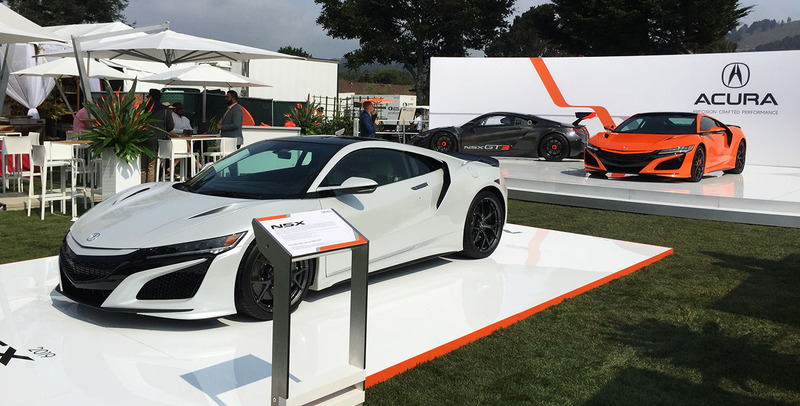 The scene in and around Pebble Beach, California is dominated each August by supercars with six-figure pricetags. 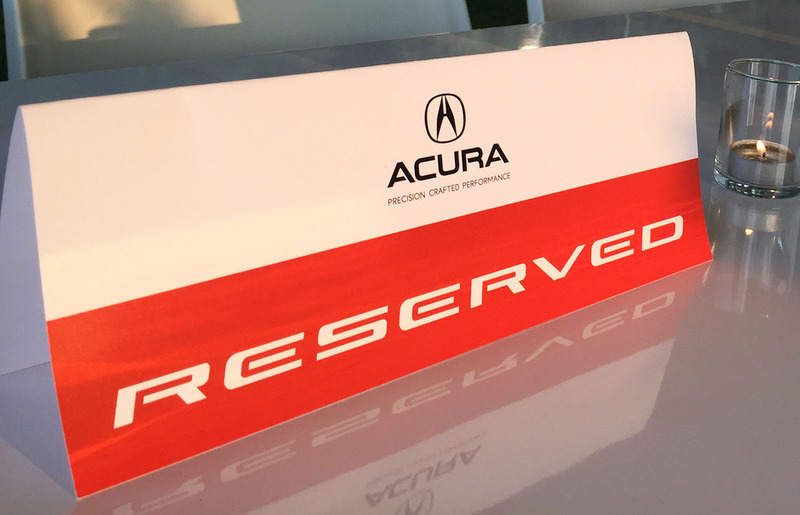 But how cool is it that now a 1992 Acura Integra – an $18,000 car when new – received a VIP invitation to be parked in the same venue? I was thrilled at the opportunity when it arose. 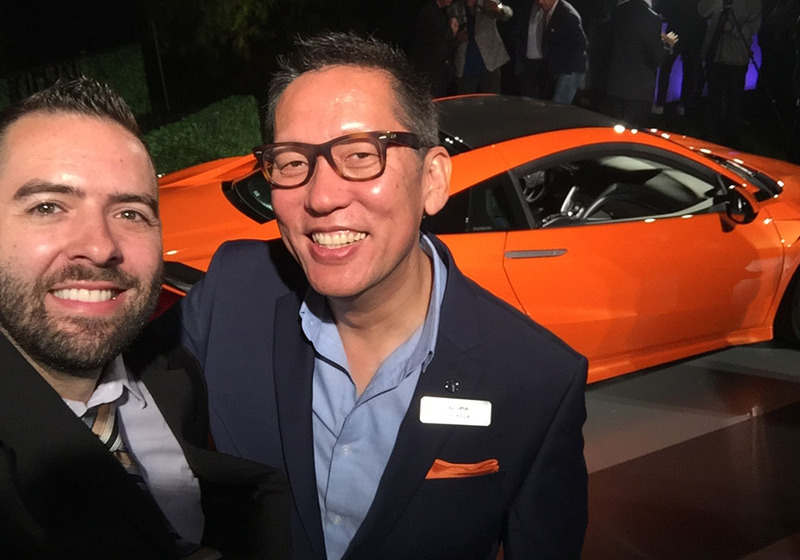 Last Thursday evening, I attended a private Acura event at the Carmel Valley Ranch. 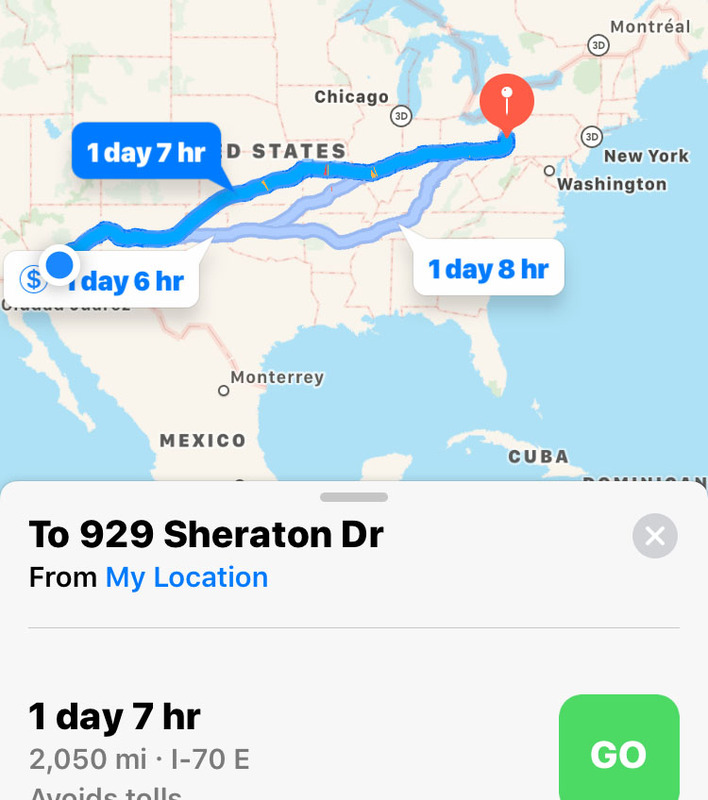 It took me longer in traffic to drive the 80 miles from San Jose airport to Monterey than it had taken me to fly 800 miles from Phoenix to San Jose. Gotta love rush hour – but at least I was driving a Ford Fusion Hybrid rental car that pretty effortlessly delivered 40 mpg. 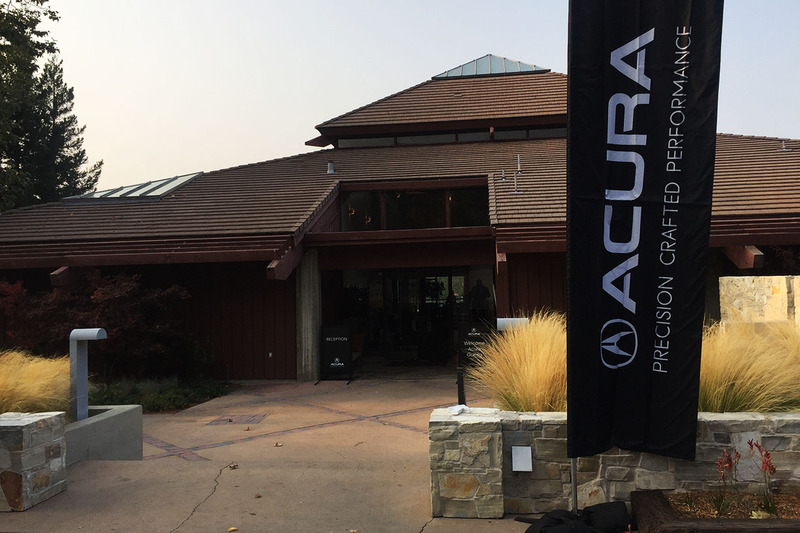 The private grounds of the Carmel Ranch provided an intimate setting for around 100 attendees – select media, Acura enthusiasts (10 members like me from the NSX Club of America), Acura personnel & support teams, and the entertainment. 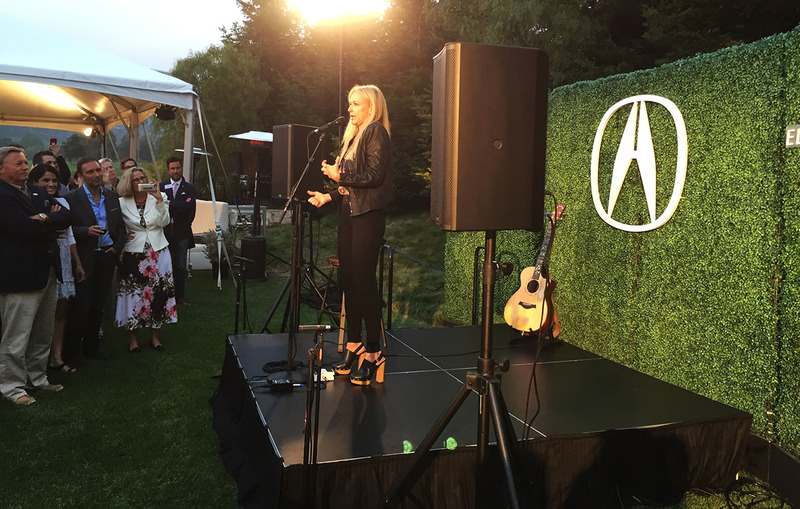 Four-time Grammy Award nominee and singer-songwriter Jewel Kilcher (better known as just “Jewel”) took the stage and shared her talent with the group – both in dialogue and in song. 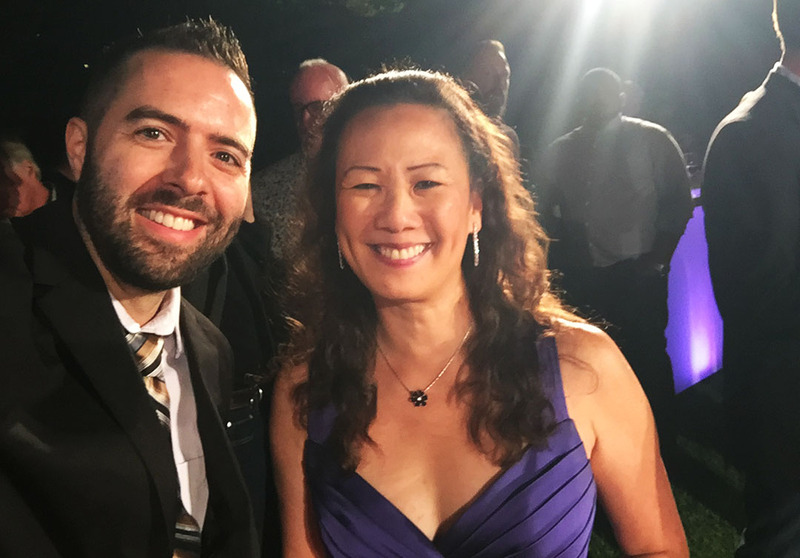 Jewel was an engaging speaker and I was a little star-struck to be just a few steps away from her platform. 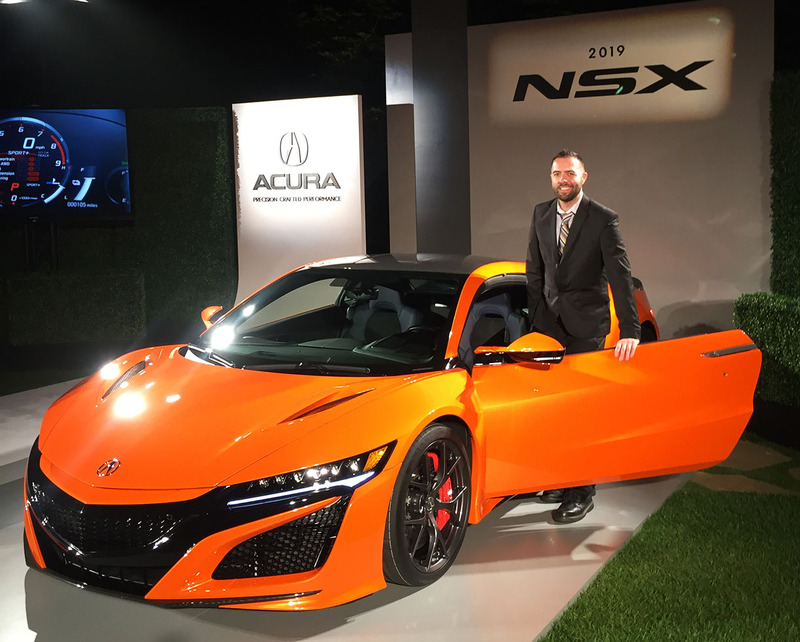 The star of the show – though Jewel was a crowd favorite – was the 2019 Acura NSX. 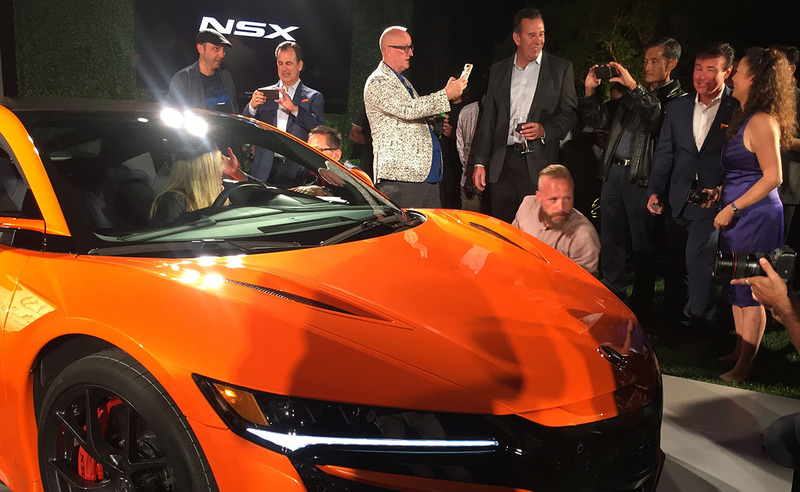 Now moving into the third model year of its second generation, the latest NSX is receiving suspension & chassis enhancements as well as a broader palette of available colors. 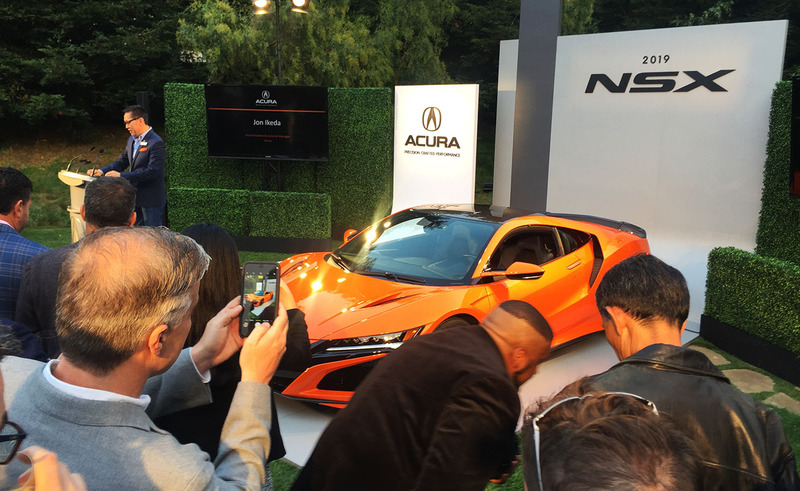 During Acura General Manager Jon Ikeda’s remarks at the podium, the cover was pulled off a vivid “Thermal Orange Pearl” NSX. It was stunning from any angle. 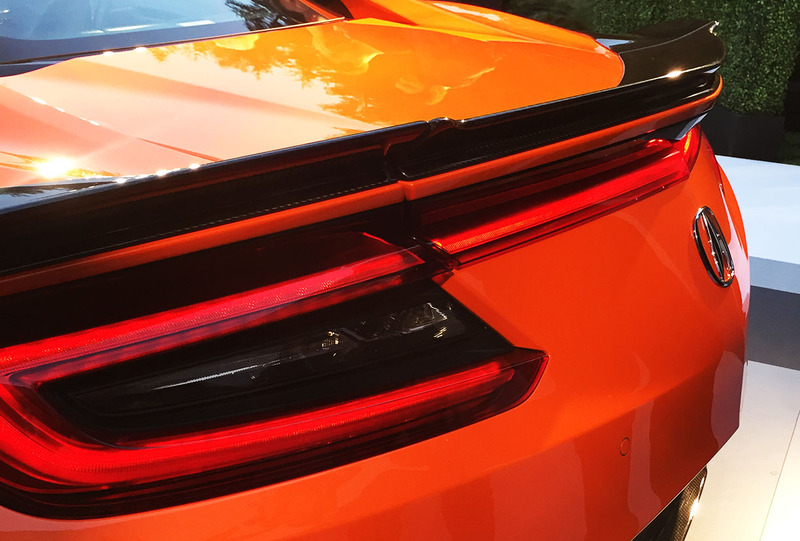 I enjoyed admiring its lines while in the company of friends and colleagues. 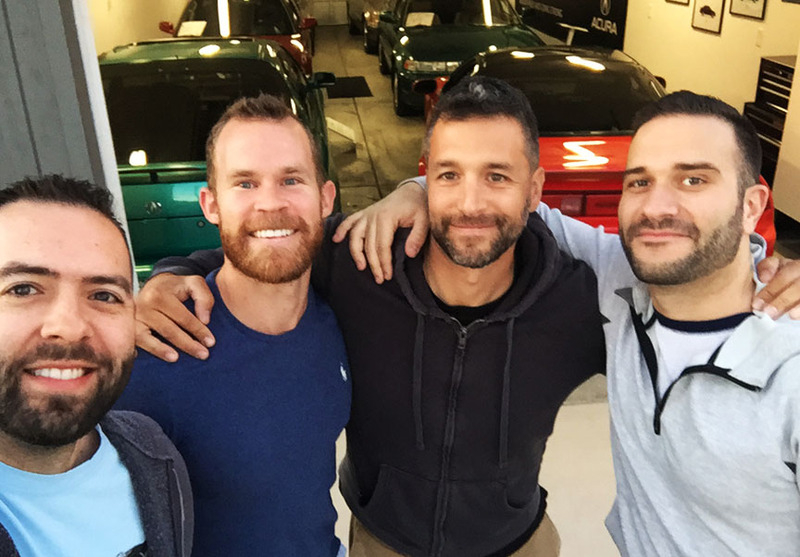 On Friday, I met with representatives from Motor Trend to assist with load-in of show cars at the JAI show venue. 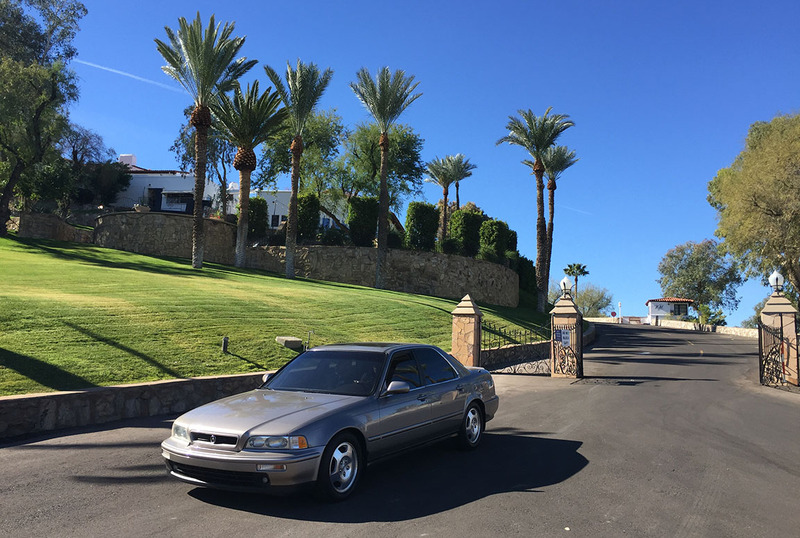 There were roughly 40 vehicles anticipated, including noteworthy models like the Nissan GT-R, Infiniti Q45, Lexus LS400, and a few Acuras: My Integra GS-R, a 1990 Legend LS coupe, and a Formula Red NSX. 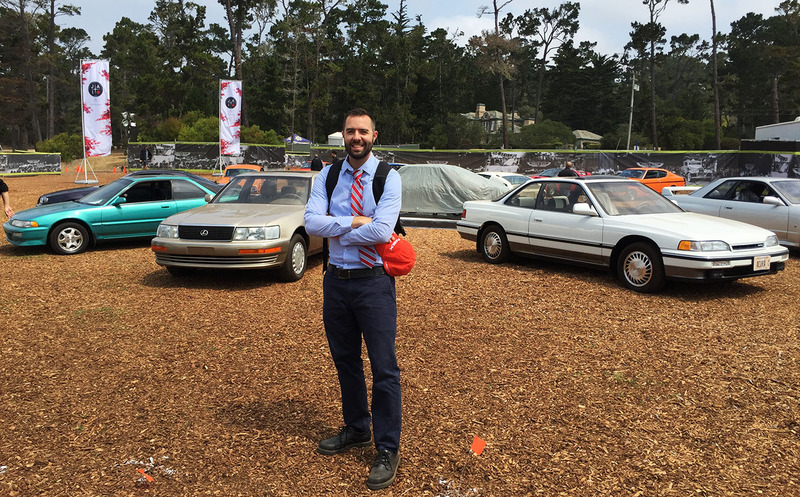 Over the course of the next couple days, many friends stopped by the display and sent me pictures of/with my car. 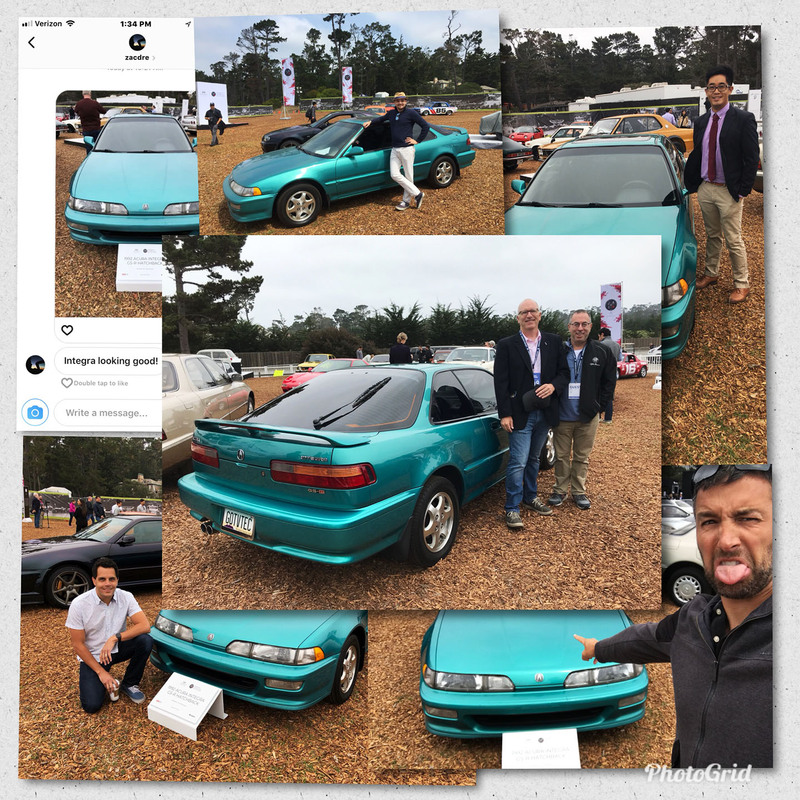 I especially loved the phone of automotive journalist Jason Cammisa (bottom right). 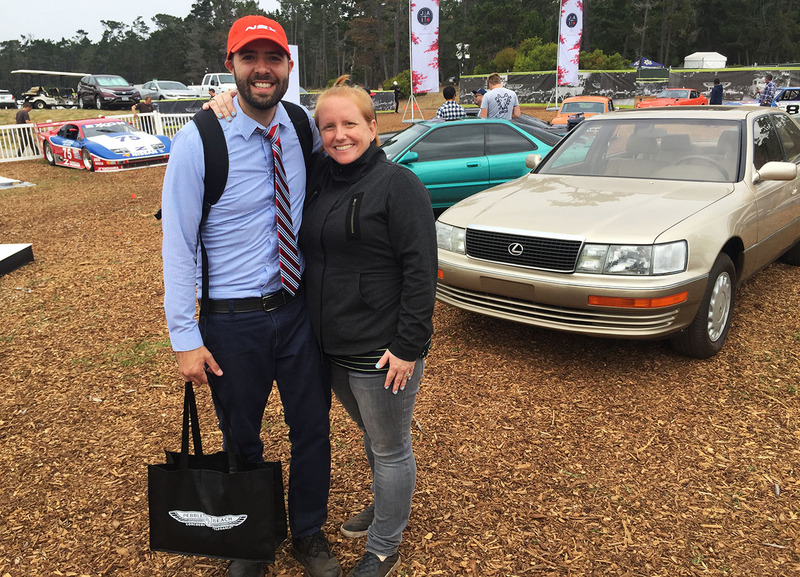 My next stop on Friday was The Quail Motorsports Gathering. For 16 years, The Quail has brought out some of the world’s most famous and exotic vehicles. Tickets are limited in availability and usually priced upwards of $600 apiece, if that tells you anything about how exclusive the venue is. 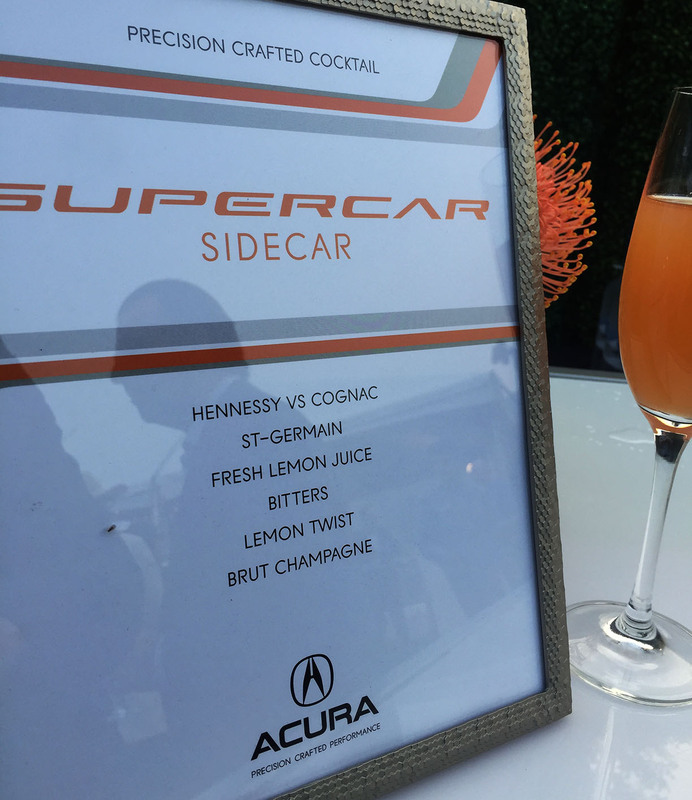 But for many, the event isn’t just about the cars. It’s also about the culinary pavilions and opportunity to bask in an environment of manicured lawns and important (or at least wealthy!) people. I felt out of my league but enjoyed myself either way. 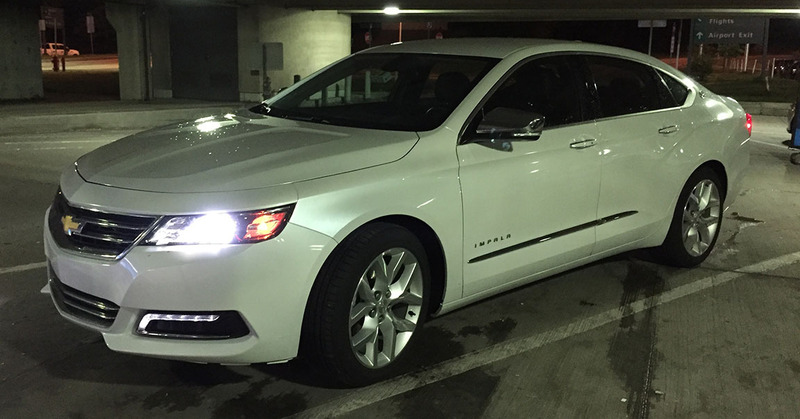 Within 24 hours of picking up my rental car at the San Jose airport, I turned it back in. 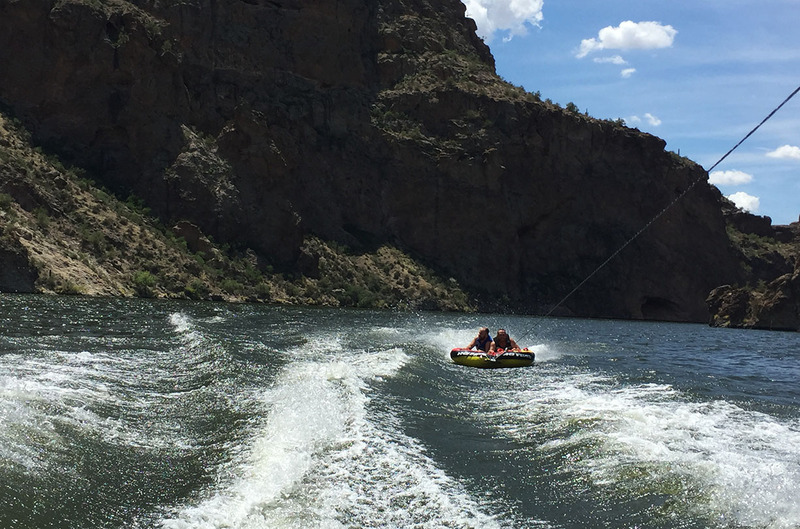 This trip was the pure definition of a “whirlwind,” but an enjoyable one it was. Enjoy a collection of photos and a video below! I knew I was on the right track when I spotted a 2019 MDX A-Spec ahead of me on the interstate ramp. Orange was the name of the game in all decor! An orange so juicy I want to lick it. 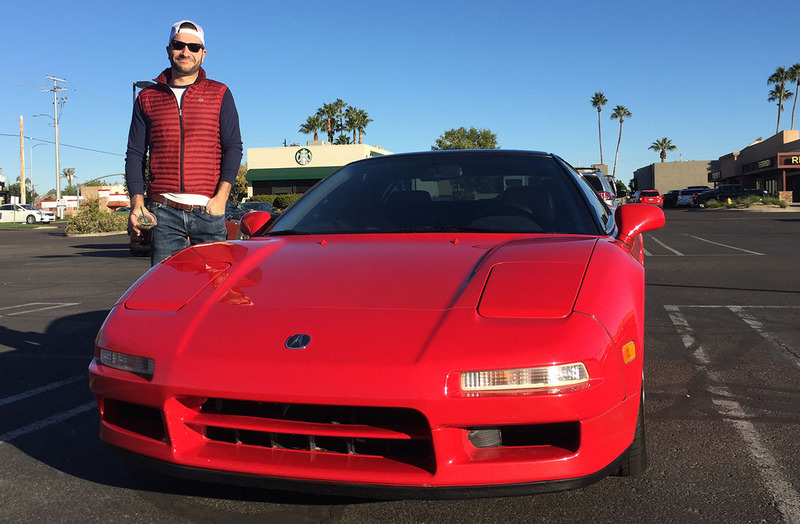 Jewel behind the wheel of the NSX. 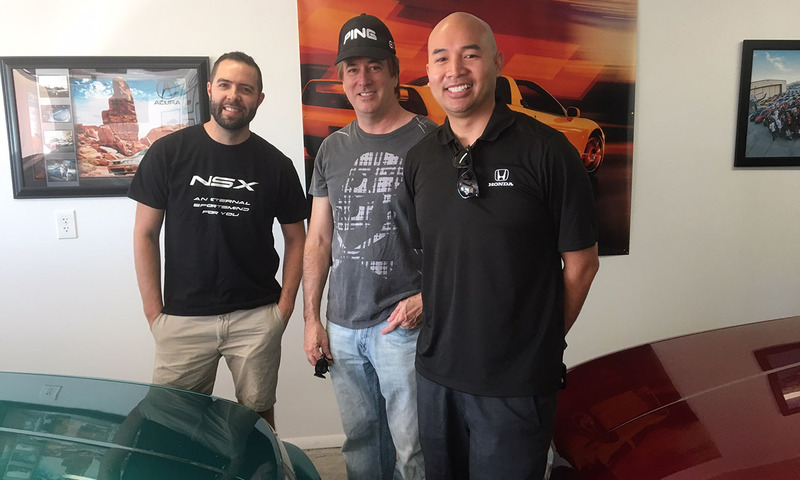 NSX Club of America Vice President May “May Purple” Lee. 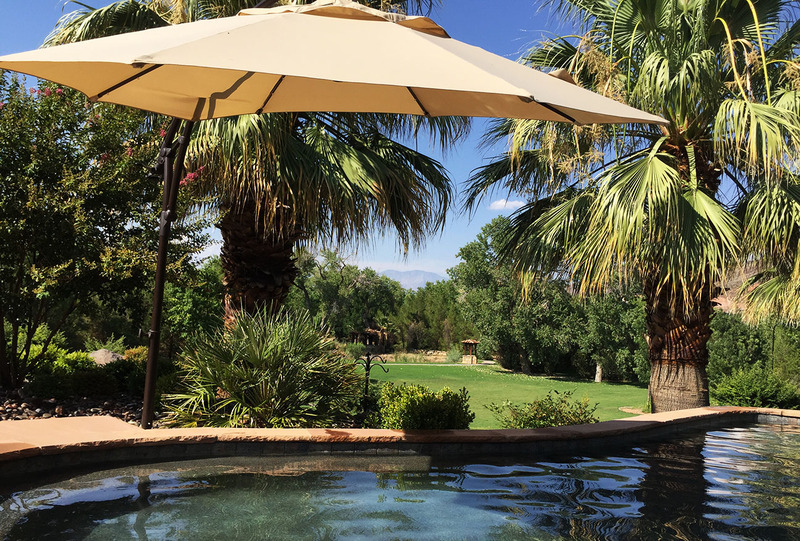 This weather was a shocker, especially when coming from August in Phoenix. More from the Infiniti display. 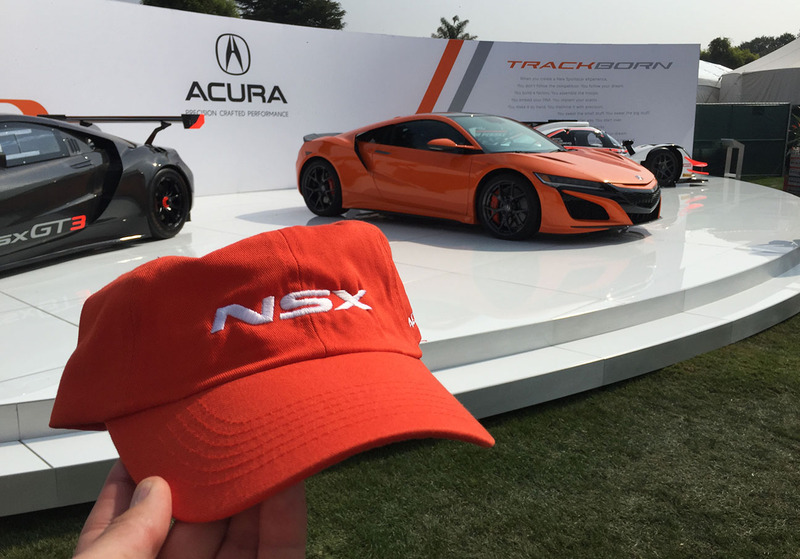 Acura was giving away orange hats at The Quail. 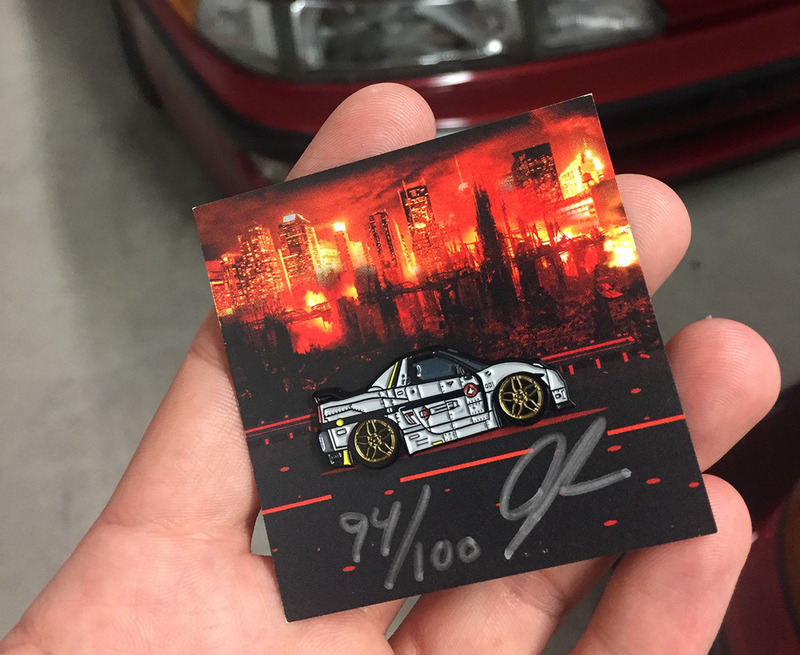 Couple quick sidebars: Thanks Jhae for the limited edition pin! 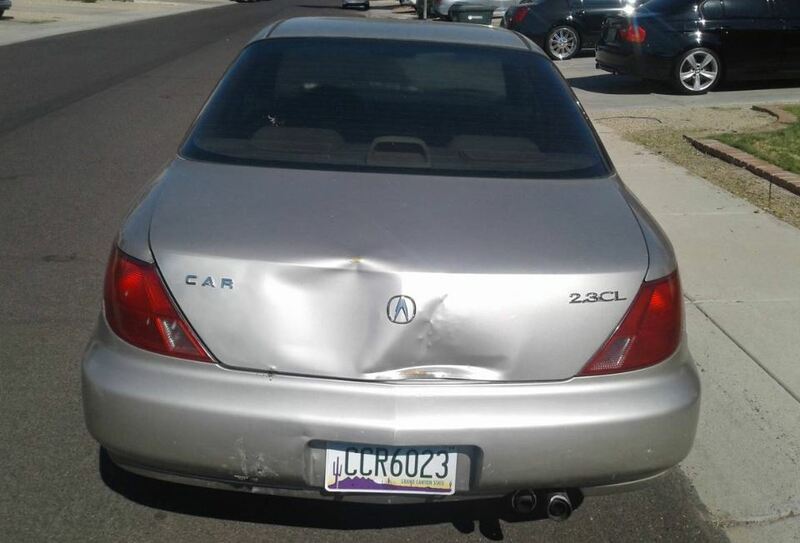 And I saw this 1G CL on craigslist. 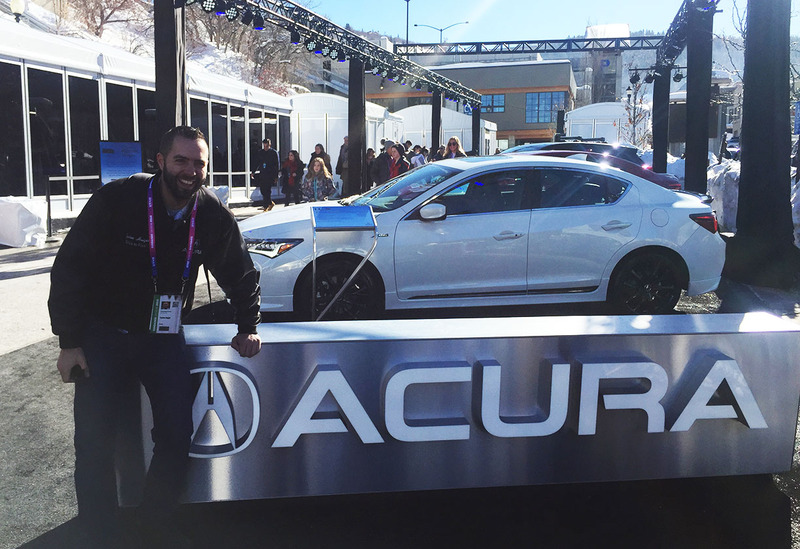 Did you know that if you rearrange the letters in an ACURA emblem, it can spell CAR? (see top left). There really is life on (in) Mars. 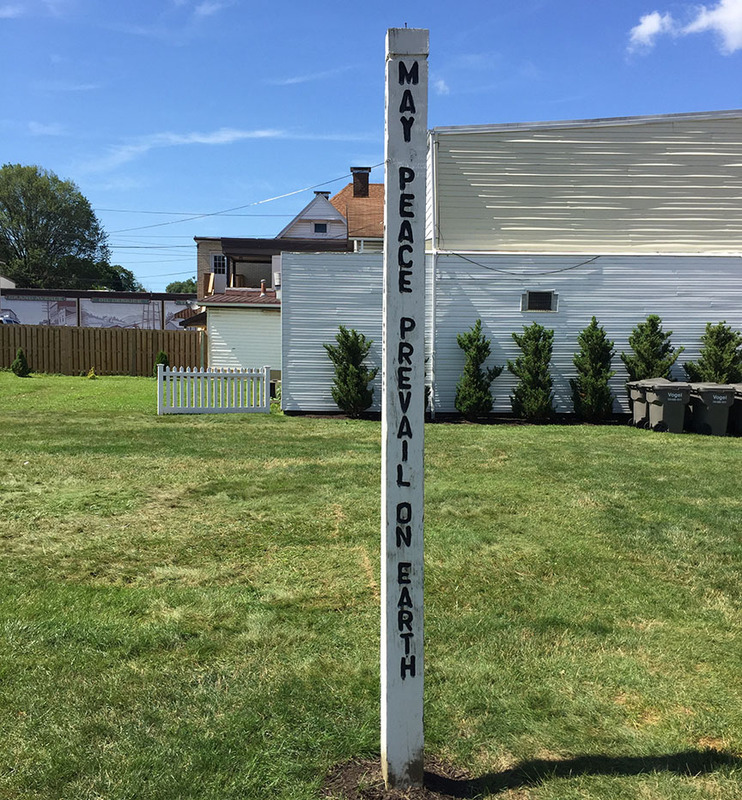 About 1,700 people, in fact, call this little town in Pennsylvania home. 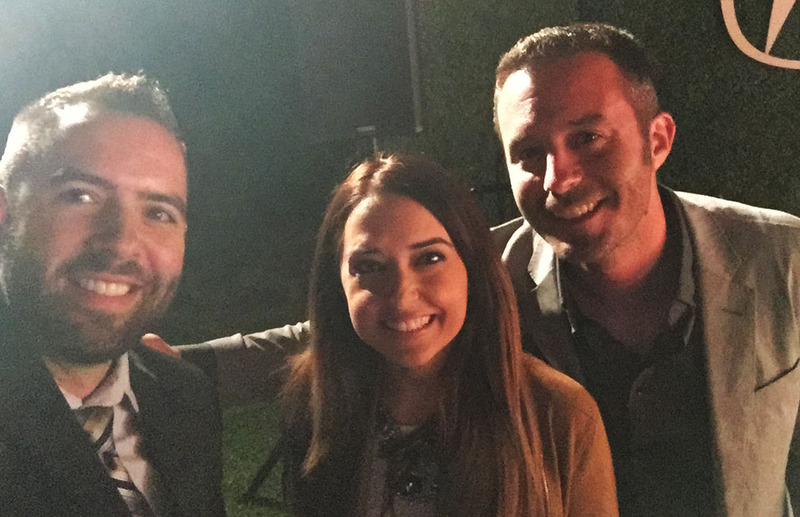 And I met a few of them this past weekend. 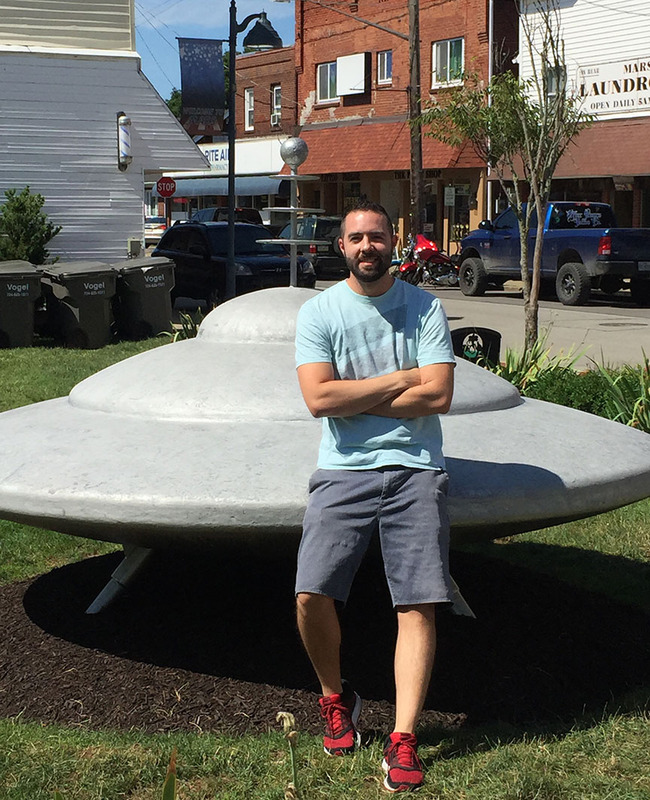 In fact, I had a native Martian who was walking by graciously take my photo while I leaned up against a silver flying saucer in the town square. 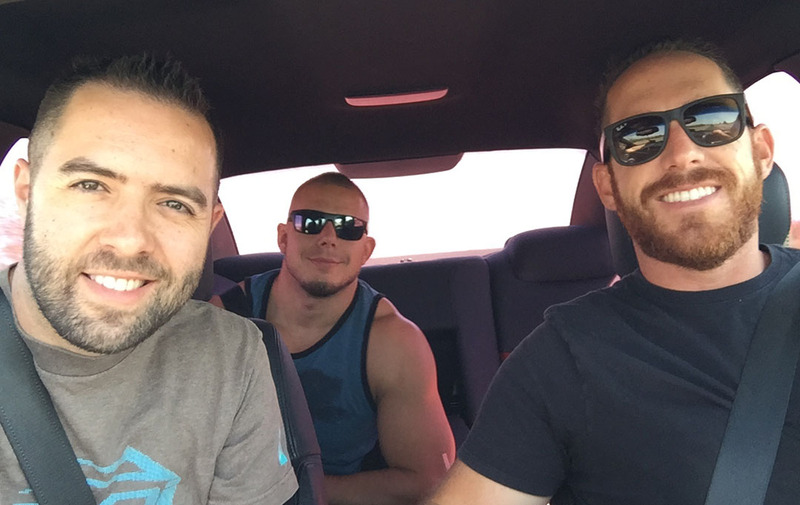 Today’s travel journal brings you something a little different. You could even say that it’s out of this world. 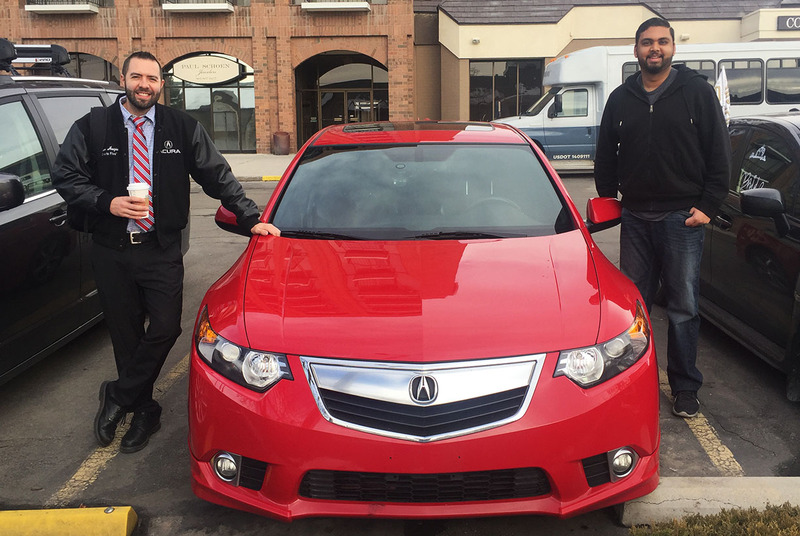 Not because I went to Mars, but because I got on an airplane for a change instead of driving the wheels off an old Acura! 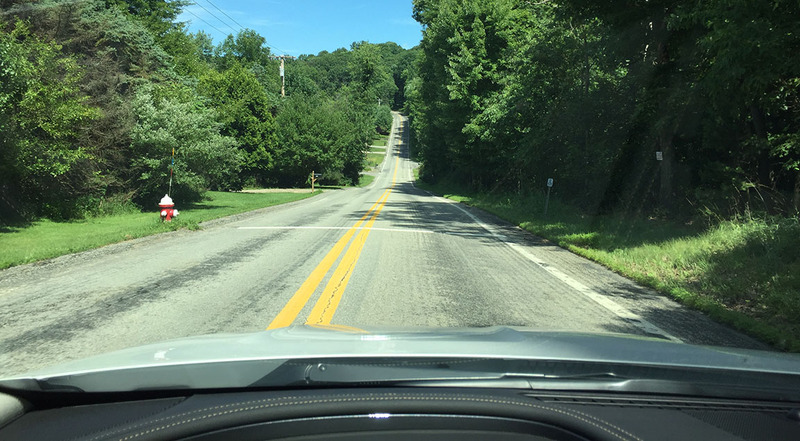 I had an appointment on Friday in Wexford, Pennsylvania which is just north of Pittsburgh. 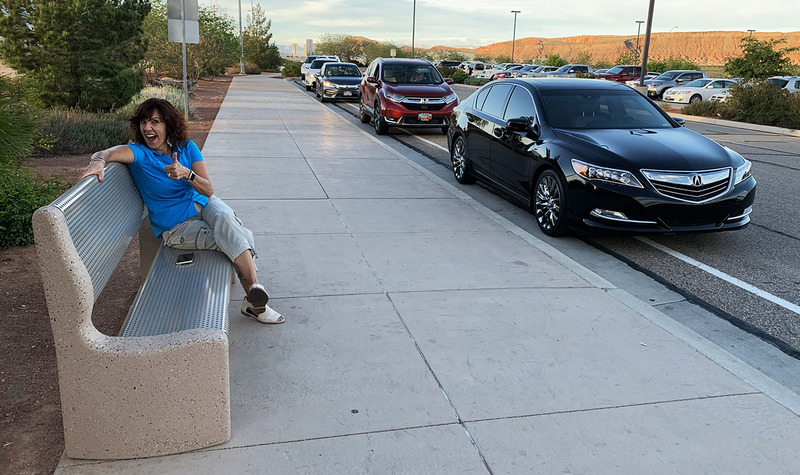 Getting there was a bit of a chore – thanks to Southwest, my 4-hour flight turned into about a 12-hour day of travel: I arrived at the airport early in typical fashion, only to discover we were two hours delayed for a mechanical issue. Then two more hours delayed for a crew change. And then had to wait while we were re-routed for weather conditions. What an ordeal. 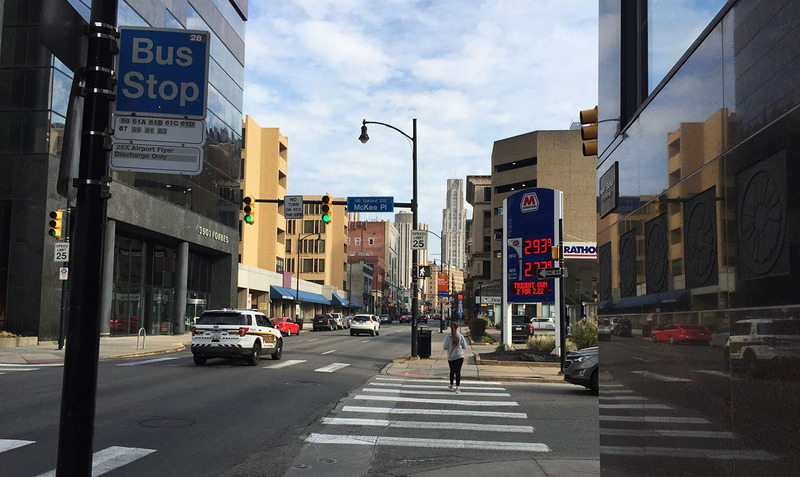 Eventually, I was grateful to be on the ground in PA and rented a white Chevy Impala Premier for my short commute to my hotel. The Bose stereo was my favorite part! 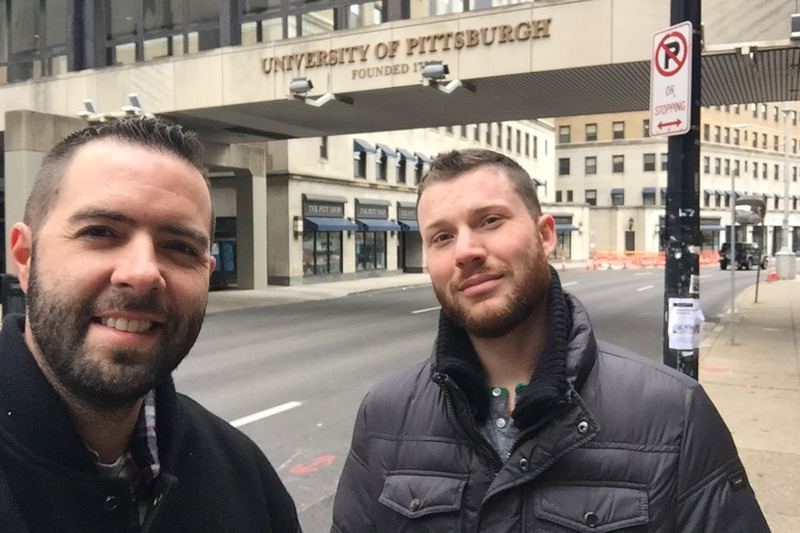 On Friday evening, I indulged in some of Pittsburgh’s sights and sounds thanks to my local friend Drew who was a gracious host. 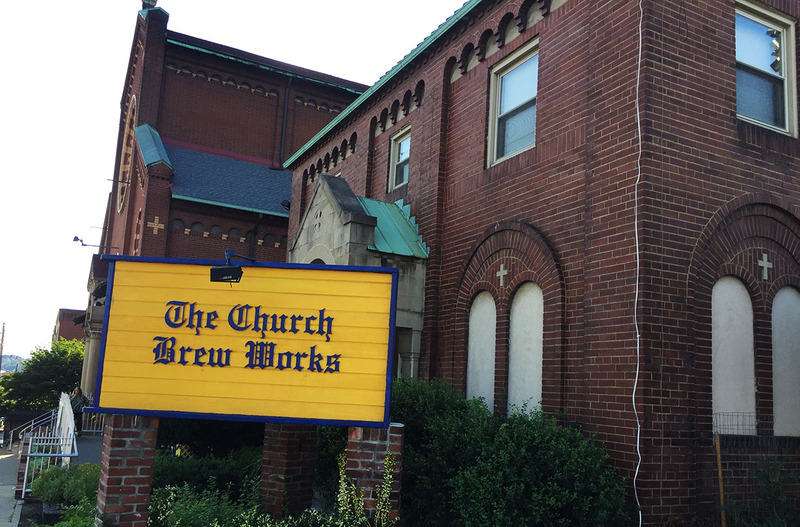 We dined at “The Church” Brew Works on Liberty Avenue. 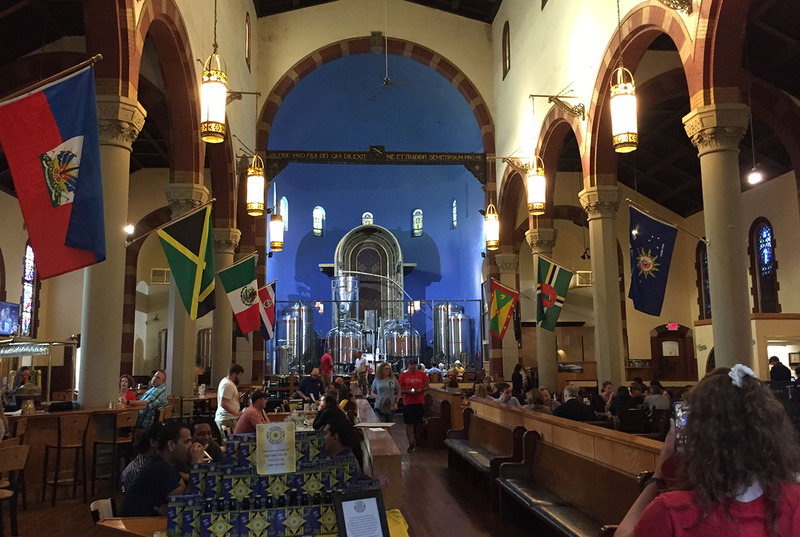 Built in 1903, the Roman Catholic cathedral is now home to a restaurant. 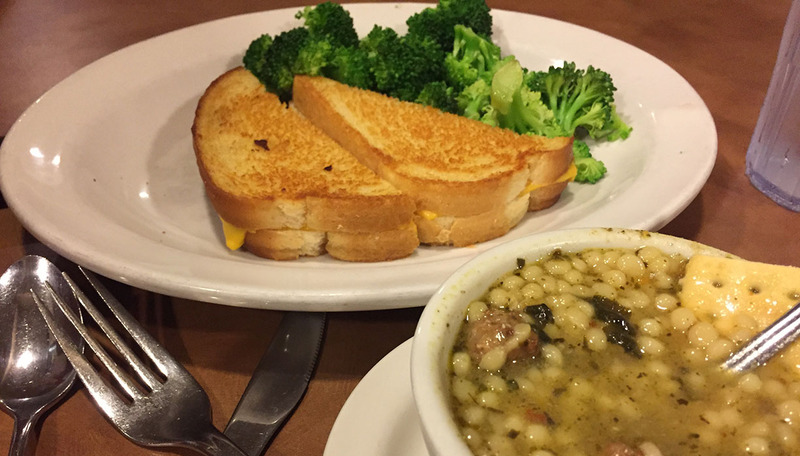 I highly recommend the buffalo meatloaf – made from bison and accompanied with a side of broccoli. 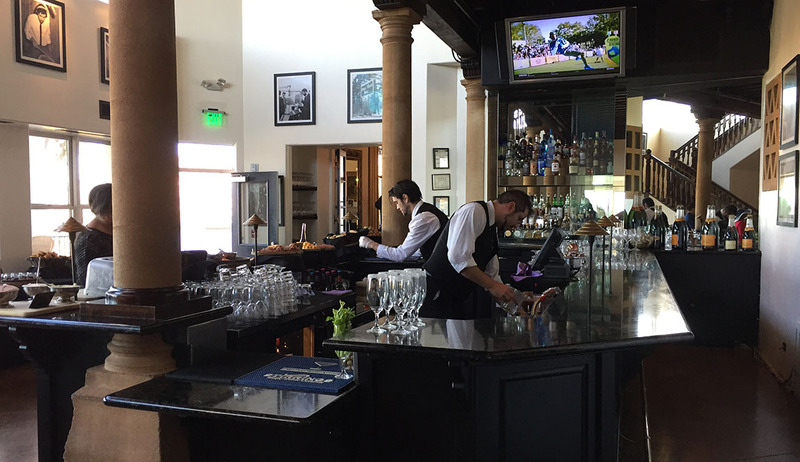 All of the drinks are named appropriately for being served inside a religious institution, including the Celestial Gold Pilsner and the Heavenly Hefeweizen. 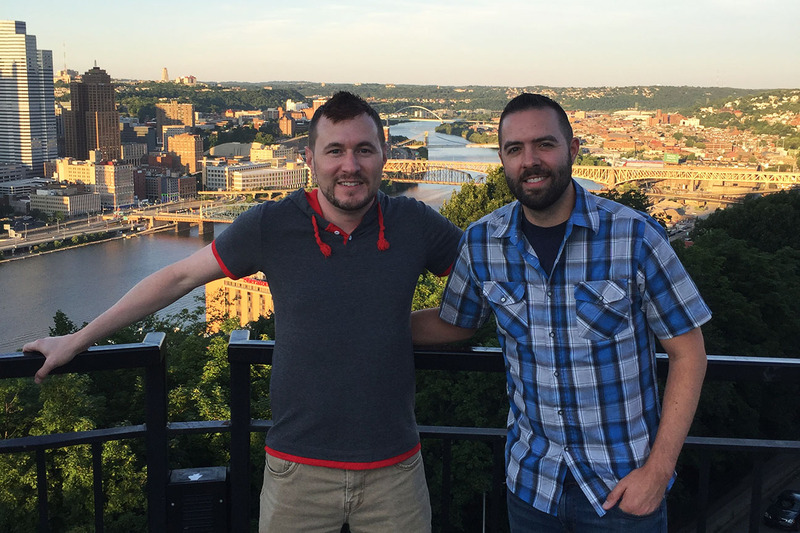 Following dinner, Drew and I climbed to the top of nearby Mount Washington which offered up a spectacular evening view of the Pittsburgh city skyline. 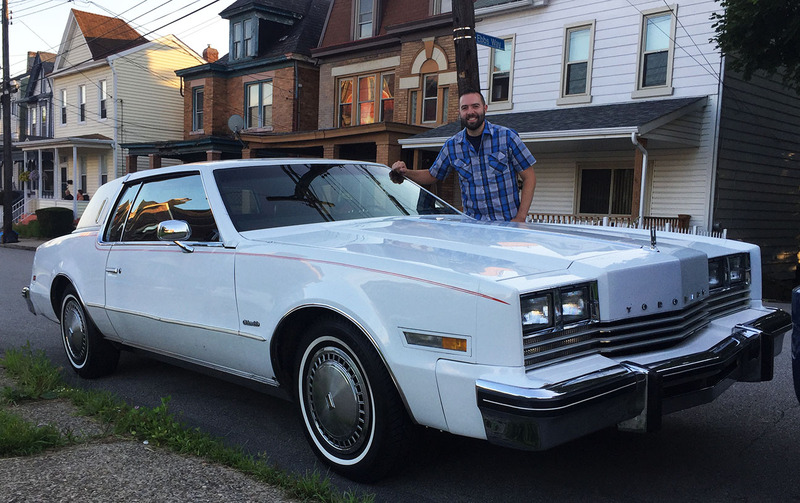 Our vehicle of choice was his 111,000-mile 1981 Oldsmobile Toronado with burgundy velour interior. The hood ornament far ahead of us pointed the way and the V8 motor rumbled with a satisfying burble as it put power to the ground through a 3-speed automatic transmission. 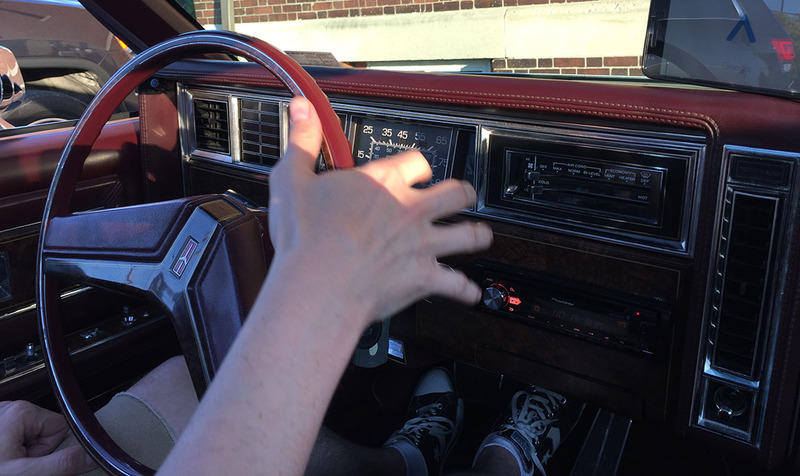 I especially liked the steering wheel, narrow in diameter with such sensitive input required that Drew could spin the wheel with just a single finger. 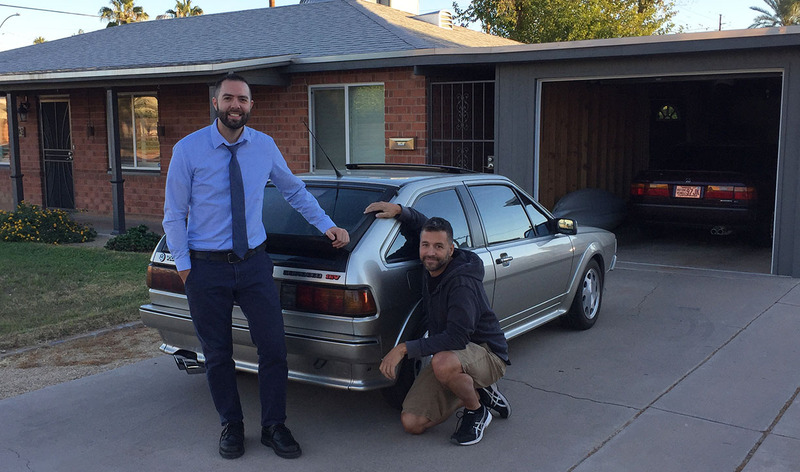 Things like that reminded me of my first car, an A-Body 1986 Chevy Celebrity. 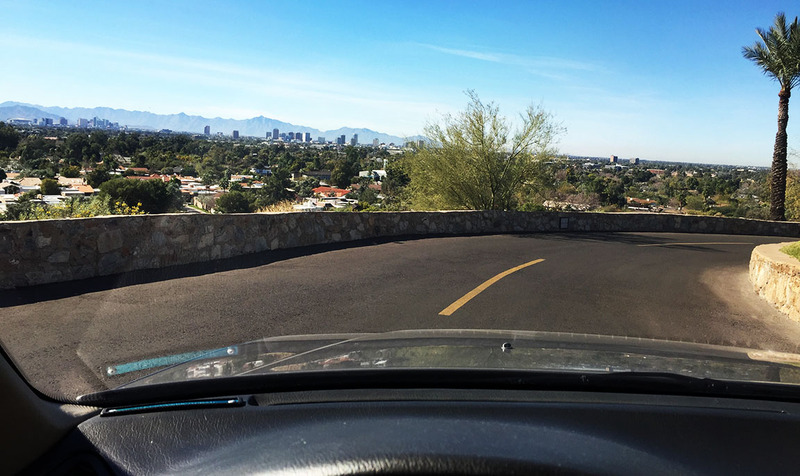 Saturday’s car-adventure gave me a completely different driving experience. 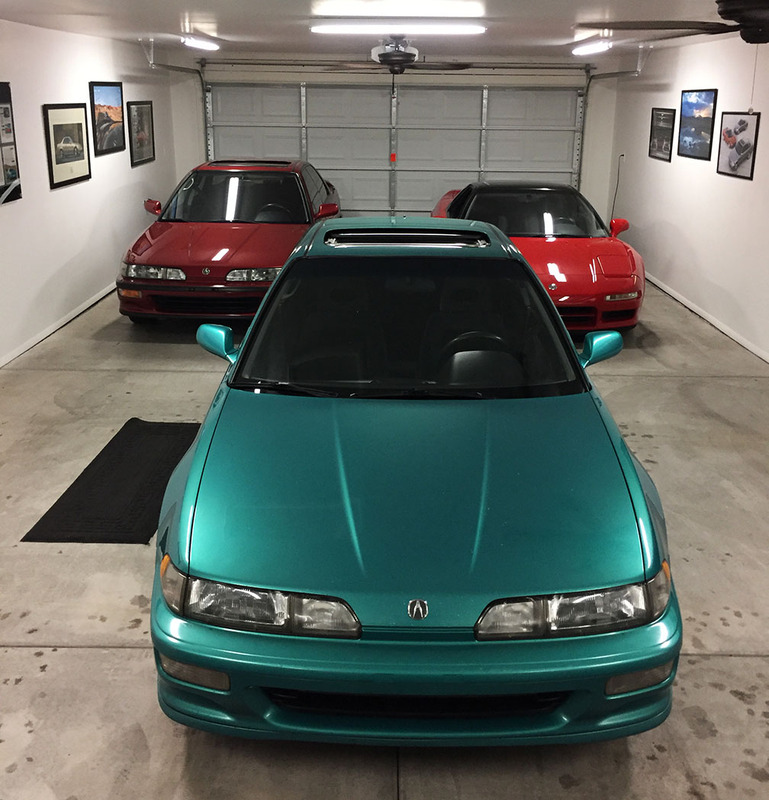 Over the years I’ve interacted with hundreds of “car people,” primarily those who are part of the Honda & Acura enthusiast communities. None of those people are quite like my friend Lou. 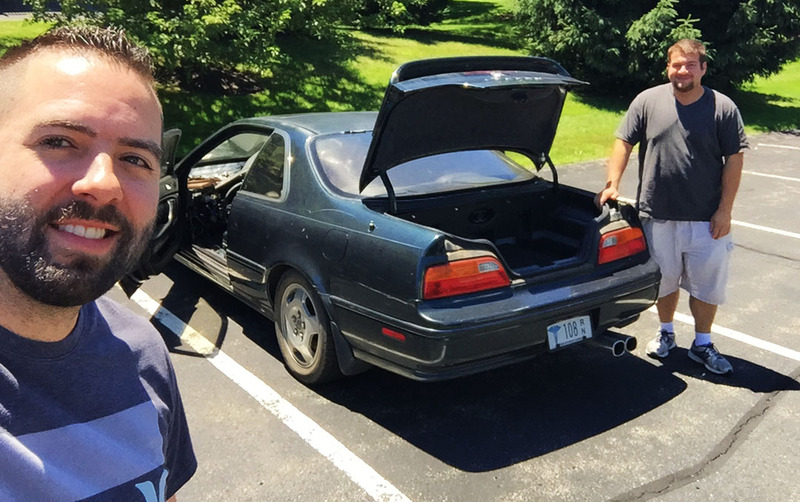 A long-time member of the Acura Legend forums and Facebook groups, Lou is one of the most active and known. I’d met him a couple of times prior, but never given the chance to drive his car. 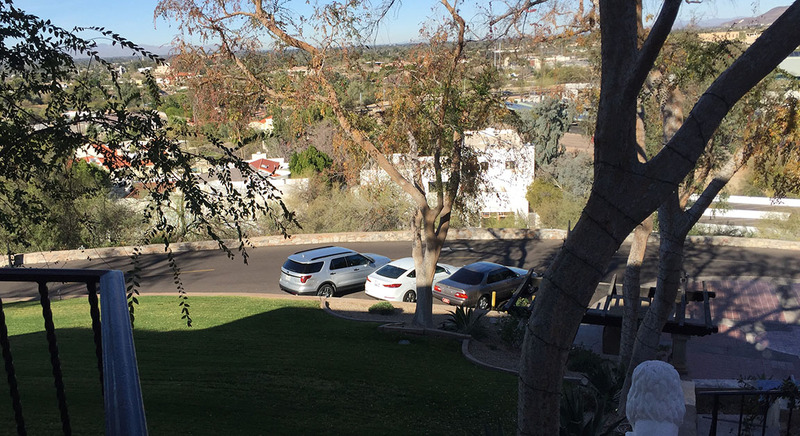 That all changed on Saturday morning at his home about 3 miles from my hotel in Mars. 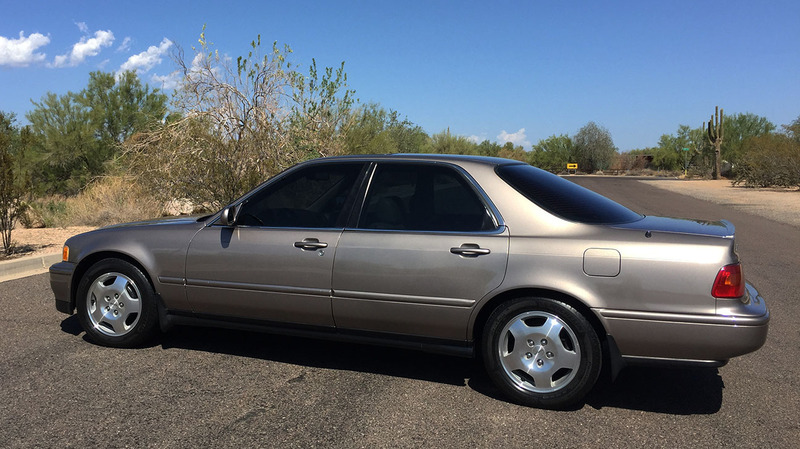 Lou’s Legend started out life as a 1992 L sedan automatic. But that’s where the familiarity ends and the wildness begins. 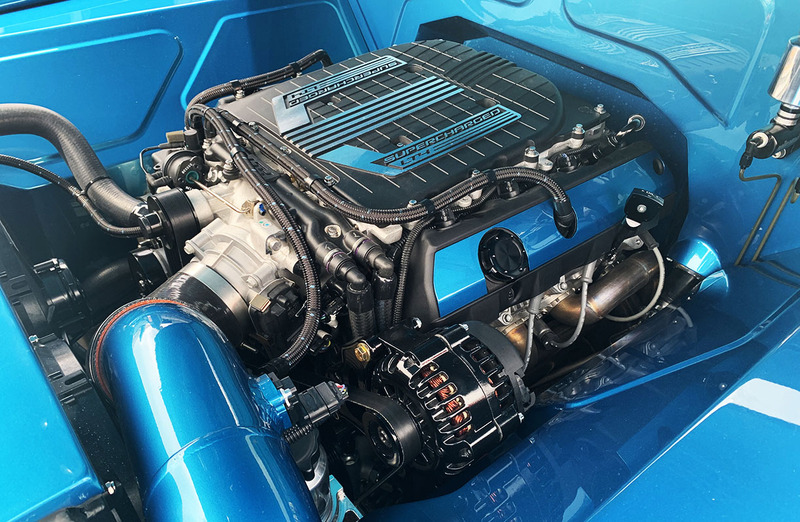 Every nut, bolt, and mechanical component of his Legend has been drastically modified to squeeze every ounce of power and performance out of the powertrain. And he has succeeded to put it lightly. I pride myself in the fact that I didn’t stall the car when getting a feel for its clutch, which reaches its friction point near the top of the pedal and has very little “forgiveness” when it comes to a transition between off and on. The ‘power factor’ is where Lou’s Legend sets itself far apart from any other Legend I’ve ever driven. It will willingly lay down rubber in gears 1, 2, 3, and 4. I didn’t dare give it wide open throttle in 5th because it would probably have done it there, too. 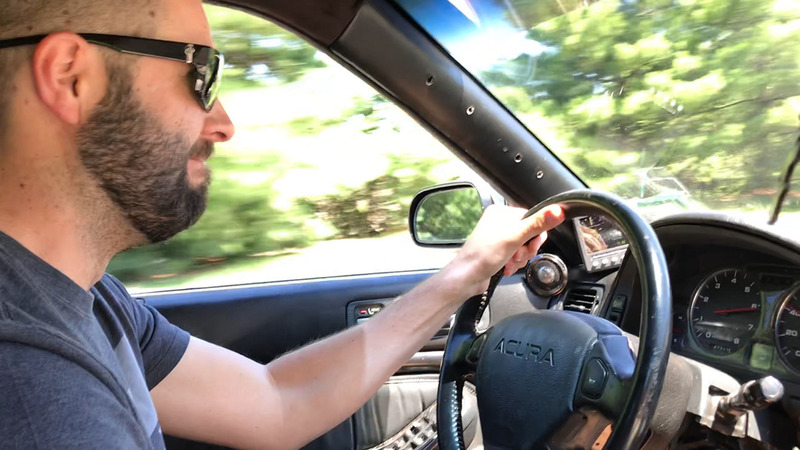 The turbo let off a “psssshhh” whistle each time I released the accelerator and I needed both hands firmly planted on the wheel when I gave it some heavy throttle getting on Highway 19. Lou’s complete build sheet is shown at the bottom of this post. 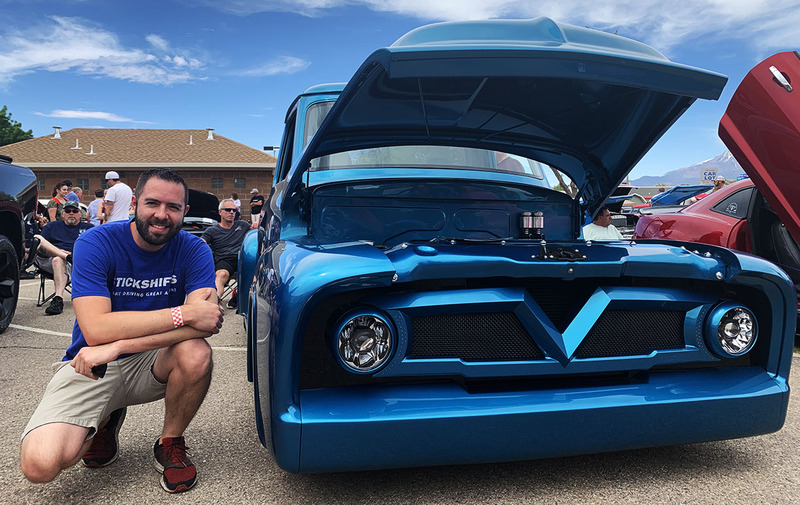 It’s a great deal of content to list out, but it will give you a glimpse of the extreme attention to detail that he has demonstrated with this unique performance Legend. 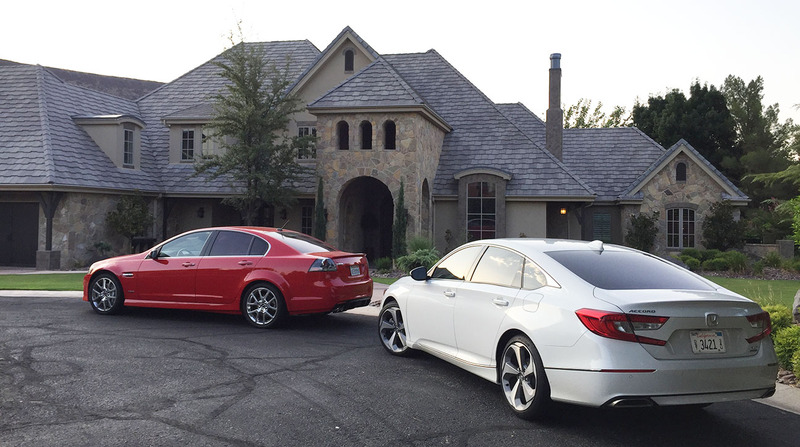 Thanks, Drew and Lou for the great hospitality and for helping me incorporate some tourism and horsepower into my trip! When you have a 4-hour flight, you get bored & start reading safety materials. 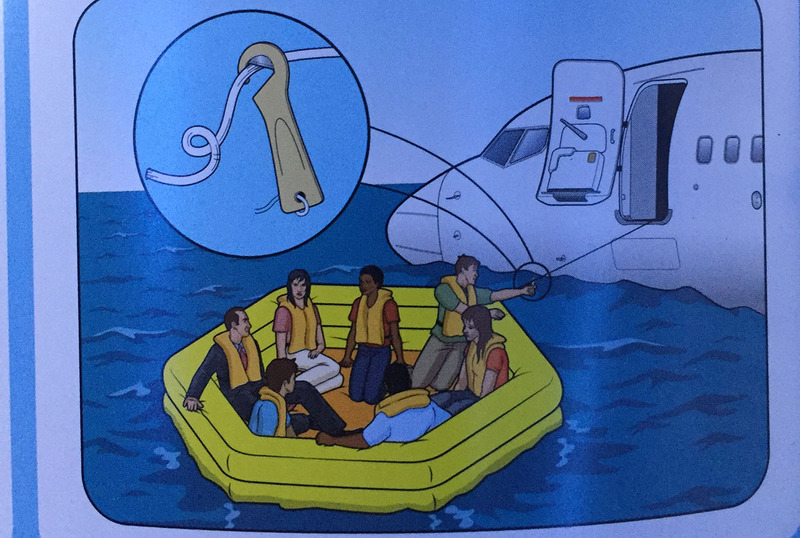 This group of people on an emergency life raft looked like they were having a fun summer. I enjoyed cruising the scenic backroads in my Impala. The address provided by Google for the flying saucer did not take me to it. 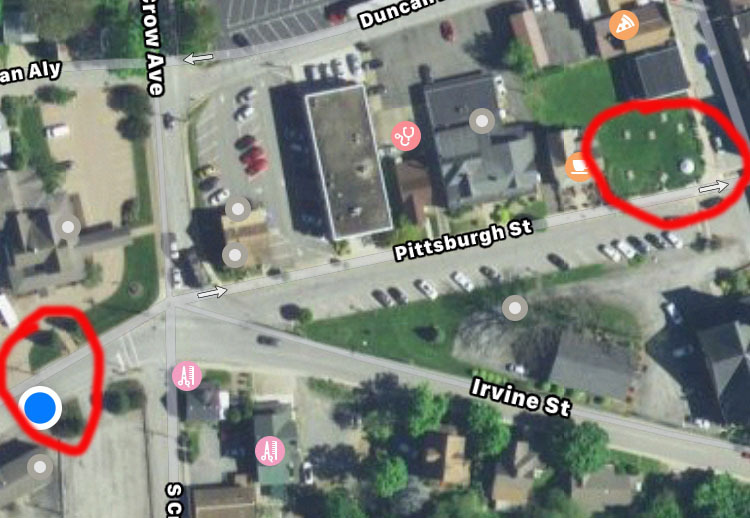 But I got on aerial maps and found it just a little further down the street ahead of me. 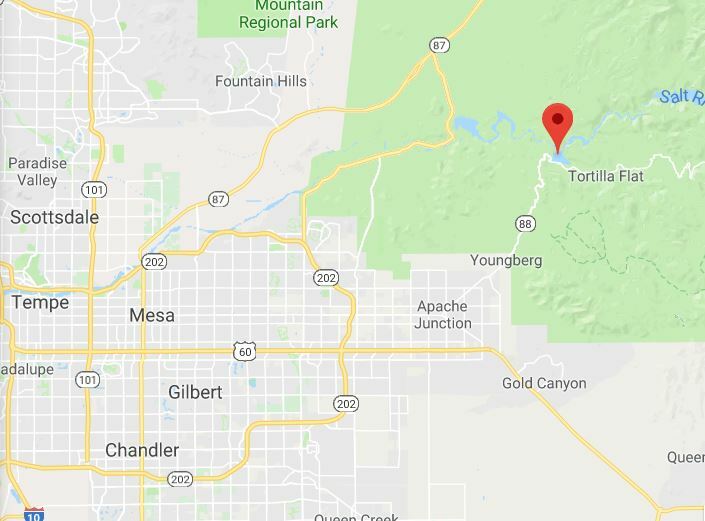 My location at left, saucer at right, circled. I liked this old Ace Hardware in Mars. 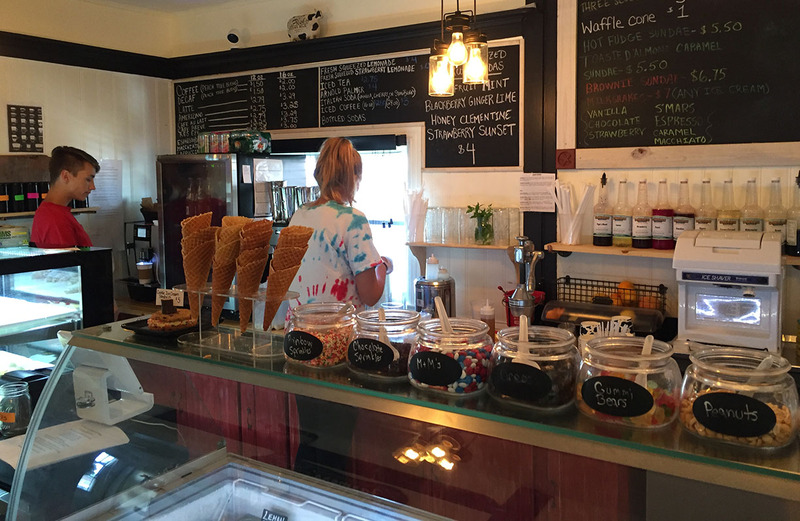 I sampled the “S’Mars” ice cream at Peach Tree. 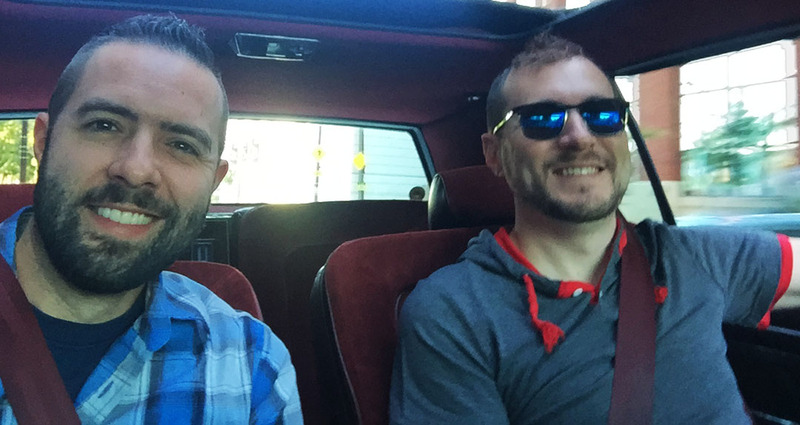 Rolling around with Drew in his Toronado. 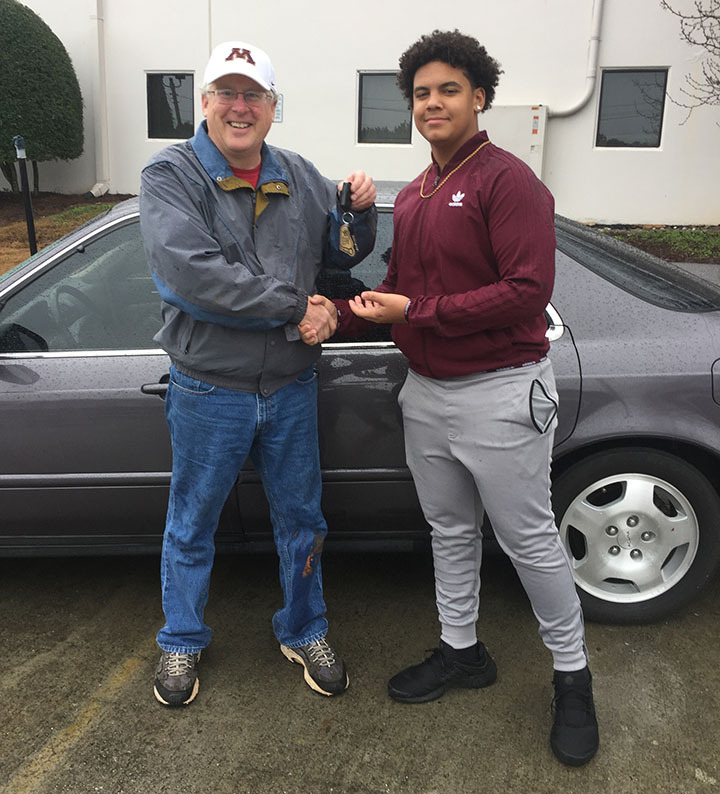 That burgundy interior is to die for! That suspension soaked up cobblestone streets like nobody’s business. The heart of Lou’s machine. Checking out another Legend coupe he has in the backyard, soon to be parted out. 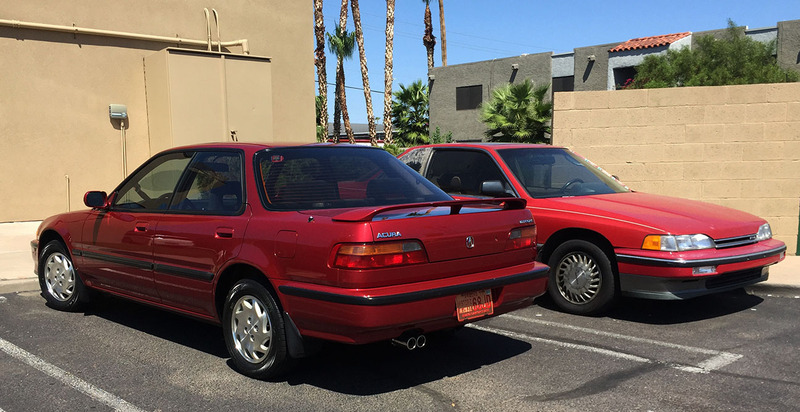 This is a 1992 Acura Legend L model sedan originally was a 3.2 (Type 1) with a 4-speed automatic. 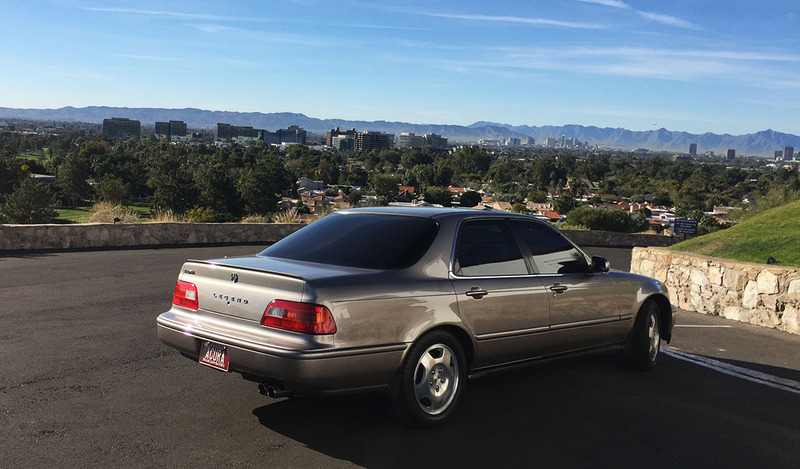 I’ve since converted the car to a 3.5 with 3.2 (Type II heads) and a 6-speed manual with a custom intake manifold and turbo kit. In short, the only bolts and parts not changed on this car are the ABS system and brake hard lines; every other parts, nut, bolt, and wire has been touched. 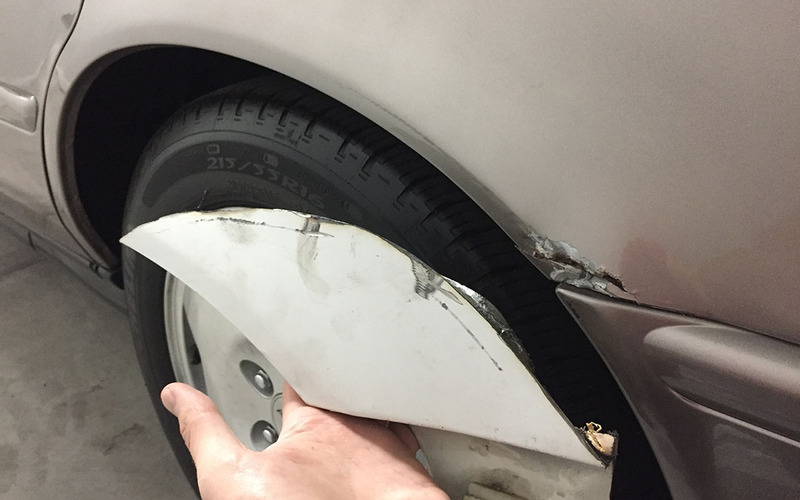 Everything was fabbed at Chuck Beaverton Automotive. 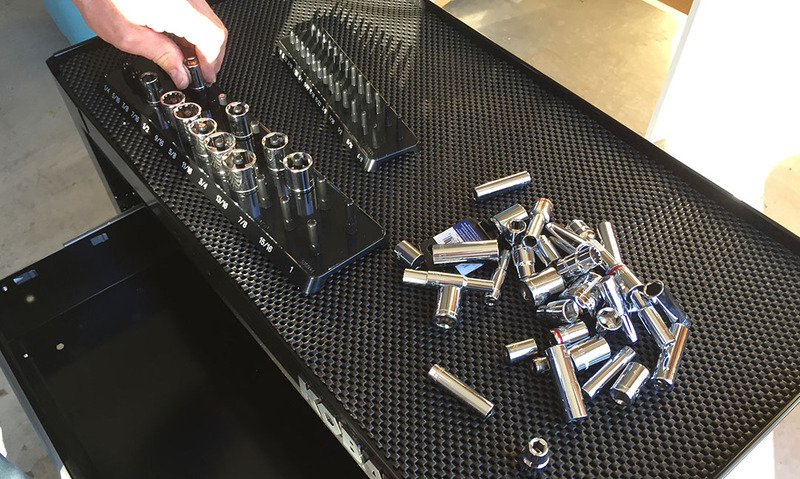 Schedule 40 stainless for the manifolds and cross pipe, aluminum for the intercooler pipe, 3″ stainless for turbo back, all piping and hot parts are ceramic coated bright silver inside and out. 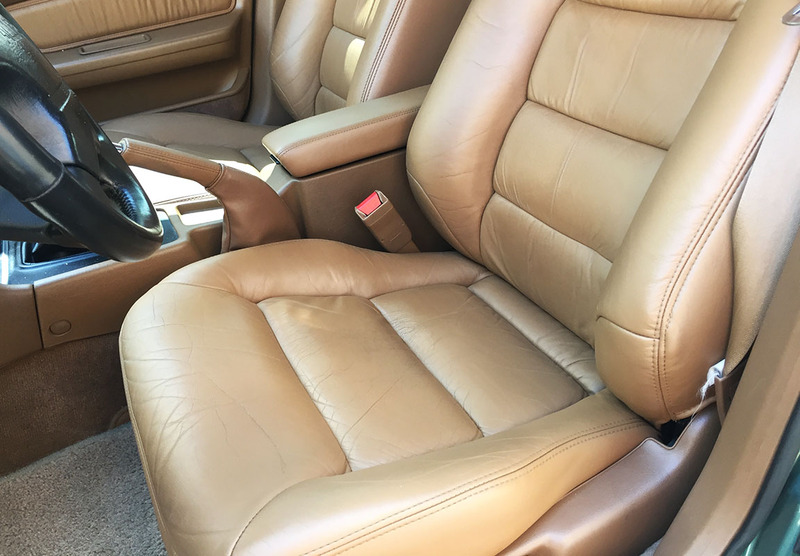 The car used to be Type F interior (tan) but now it’s been converted to Type A (black) and then dyed using SEM products to give a modern-day black interior look with black suede headliner. 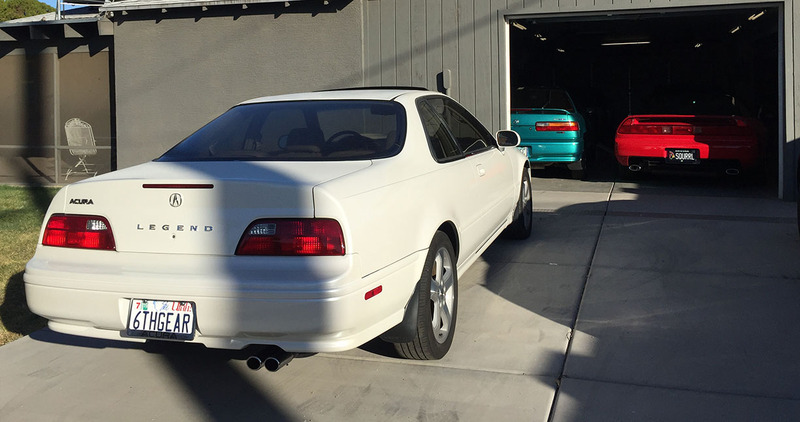 Car on 8psi pump 93 makes 360whp/399wtq. On e85, it was making 510whp/598wtq on 16psi with some breakup (ran out of Dyno time). It was turned up on some street driving the night before you drove it. 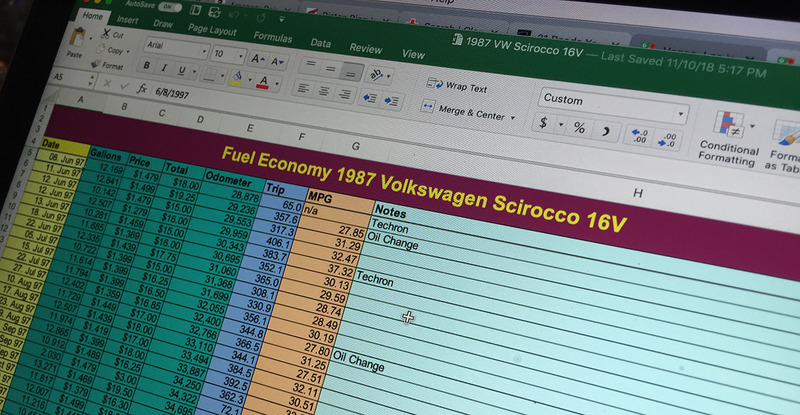 It’s on 19 psi with unknown power levels, but probably 550whp and 640wtq judging by the proefi gauge. 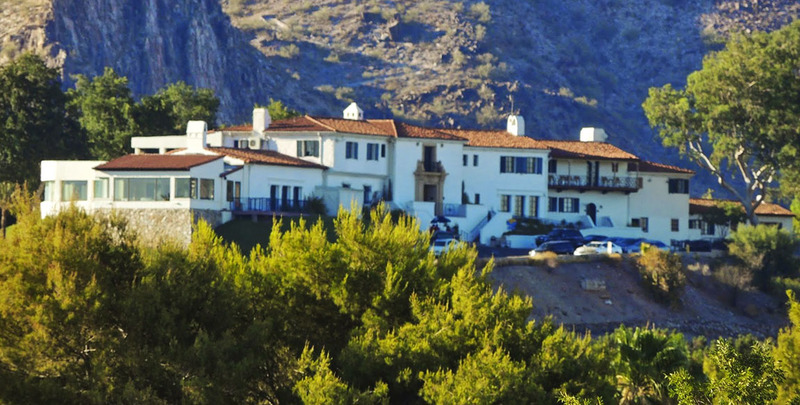 Imagine being wealthy enough in the late 1920s to own several mansions across the United States: Chicago, Philadelphia, and other cities — the smallest of which, in Phoenix, at 16,000 square feet. William Wrigley Jr. was an entrepreneur from a young age, starting his own business selling soap and baking powder at age 29. At that time, he would give his customers 2 packages of chewing gum as an incentive with each can of baking powder they purchased. Wrigley’s chewing gum soon became more popular than any of his other products, and the rest was history. 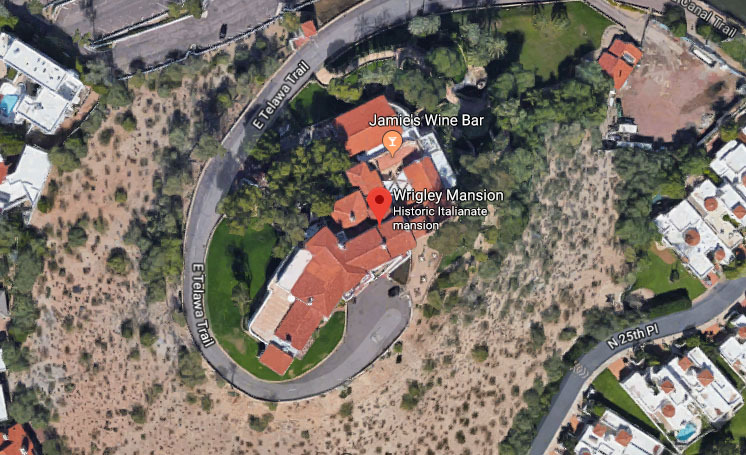 Wrigley went on to hold a controlling interest in several other companies, own the Biltmore Hotel in Phoenix, and build 5 residences. Next time you’re chomping on a stick of Big Red, think of him. 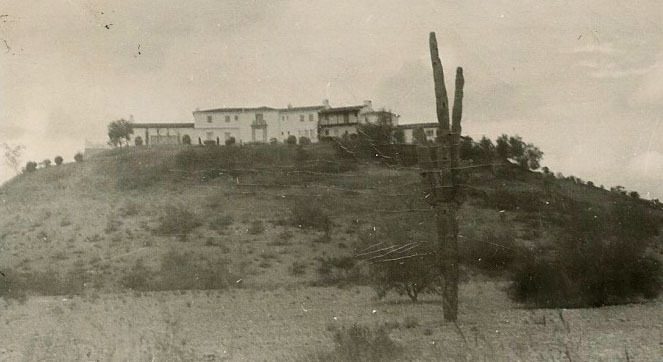 Wrigley’s mansion in Phoenix (photo above from 1949), is set atop a 100-foot-tall knoll with views of the Biltmore and the community below. Construction was completed in 1931, only a year before Wrigley died at age 70. 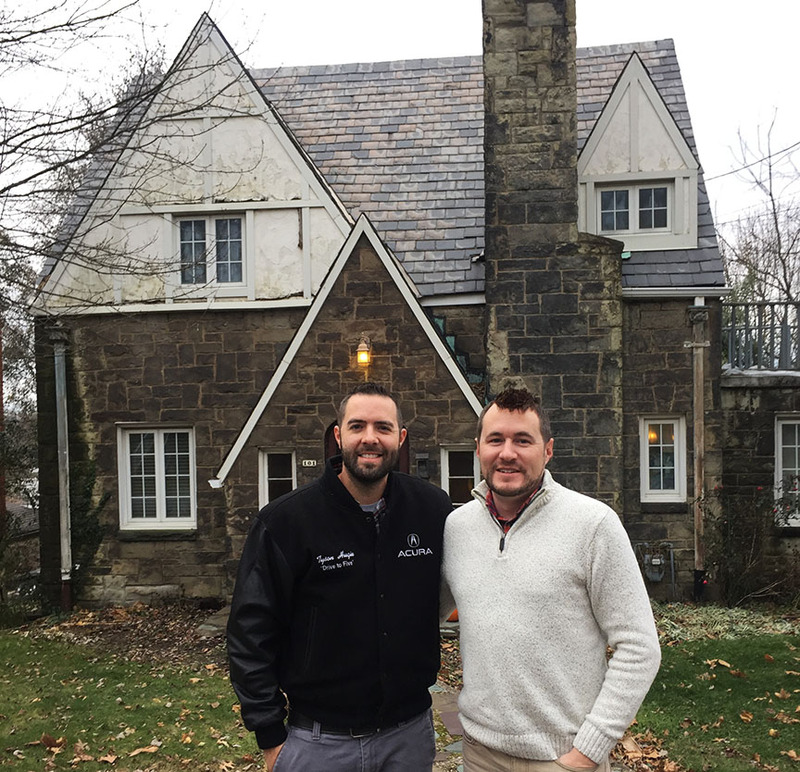 The mansion went on to be owned by another big wig in the food industry: Geordie Hormel, known for creating Spam (he also claimed to have invented the corn dog). 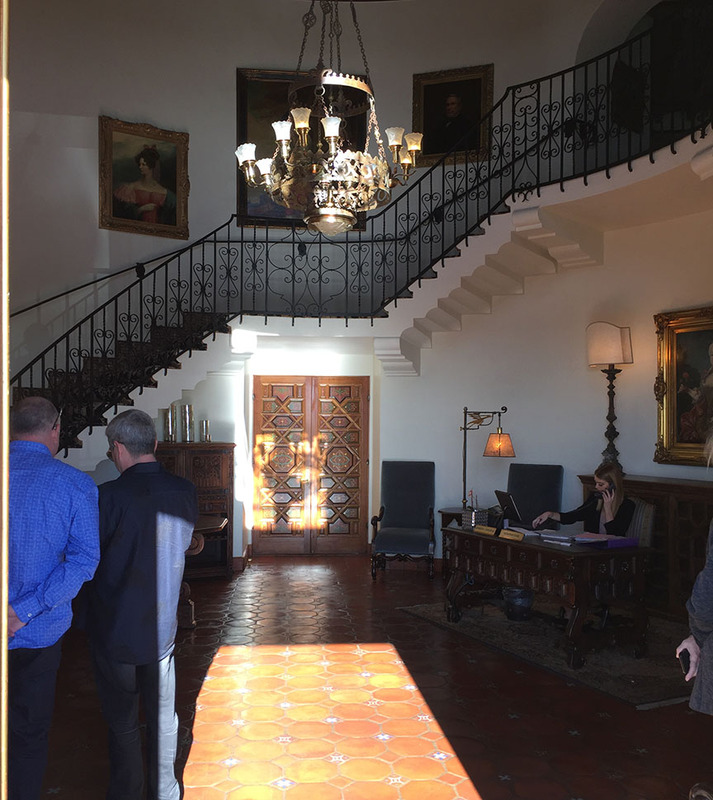 Hormel bought the Wrigley mansion as a $2.6 million 50th wedding anniversary for his wife, and restored it to his former glory. He passed away in 2006 but the facility lives on as a private club for Sunday brunch, fancy weddings, and other special events. 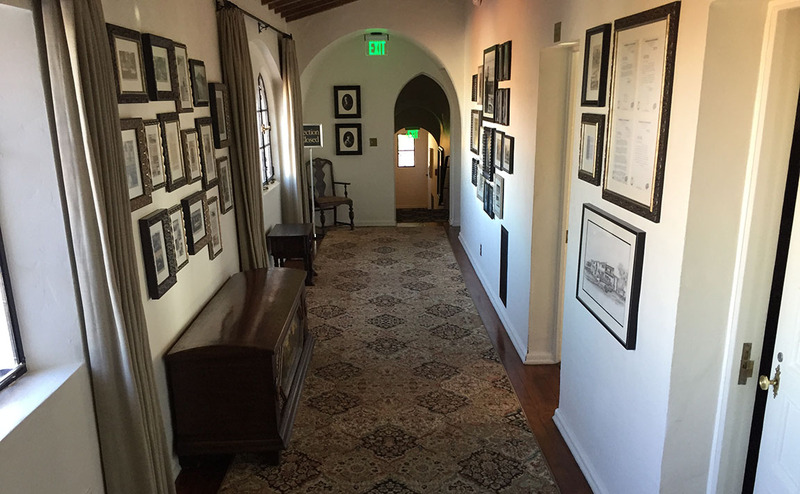 On Sunday, January 28th, 86 years and 2 days after William Wrigley passed away, I rolled up the steep driveway from Telawa Trail Road with my dad & stepmom and valet parked my Legend sedan for a brunch reservation I’d made online about 6 weeks prior. 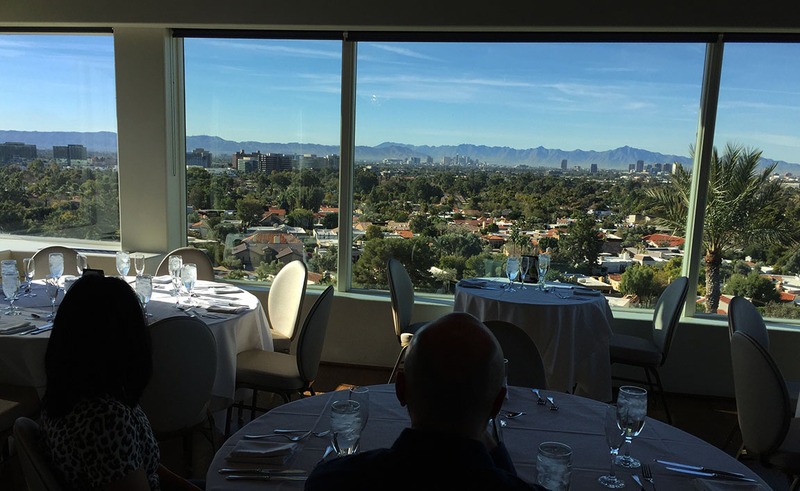 The view of the city was spectacular and the weather couldn’t have been better. 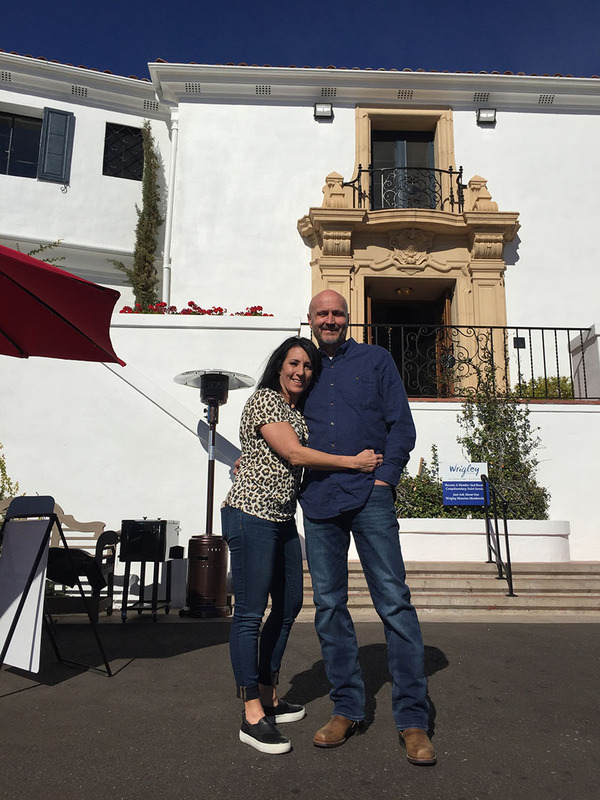 We had about 15 minutes to wander around the facility before being seated at our table, so we went upstairs to see a few of the 24 bedrooms and 2 of the 12 bathrooms. 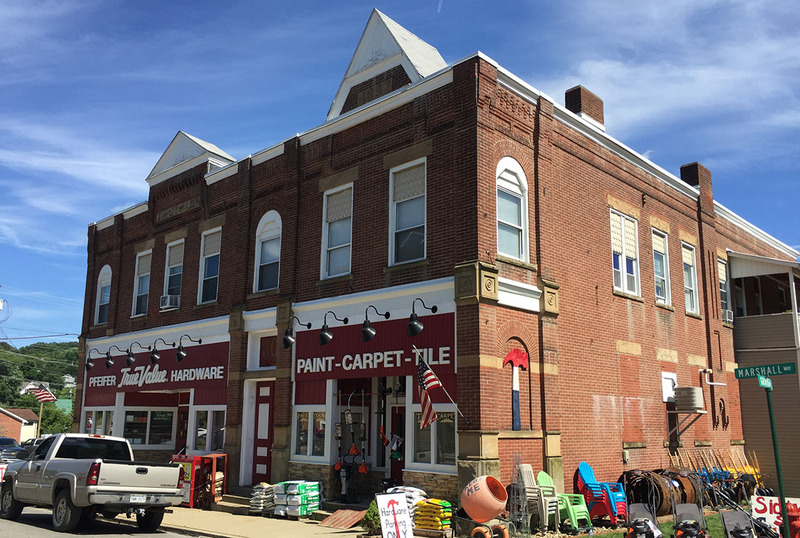 All of the finishes, materials, and fixtures retain their original appearance but have been well preserved or restored. Hearty buffet provisions were available in 3 separate rooms: The first, with fruits, bagels, and salad items for lighter fare. 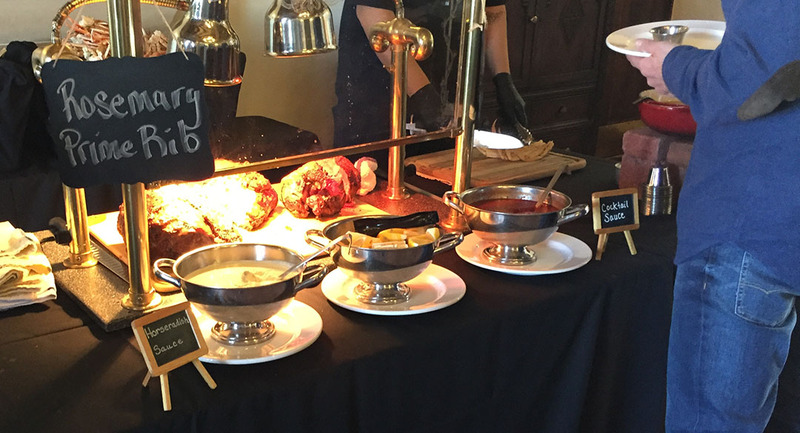 The second had the main brunch courses: beef, prime rib, shrimp, lobster, potatoes, and an omelet station. 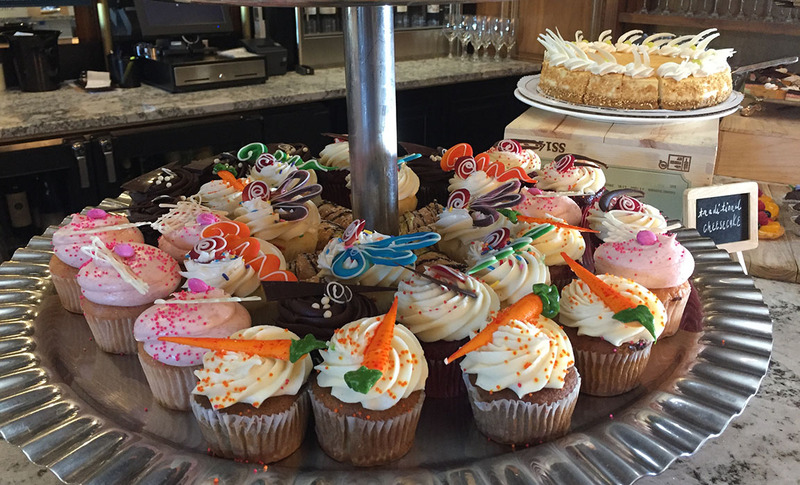 And the last was up a few stairs in what appeared to be a library, stocked with all sorts of cupcakes and other sugary goodness. 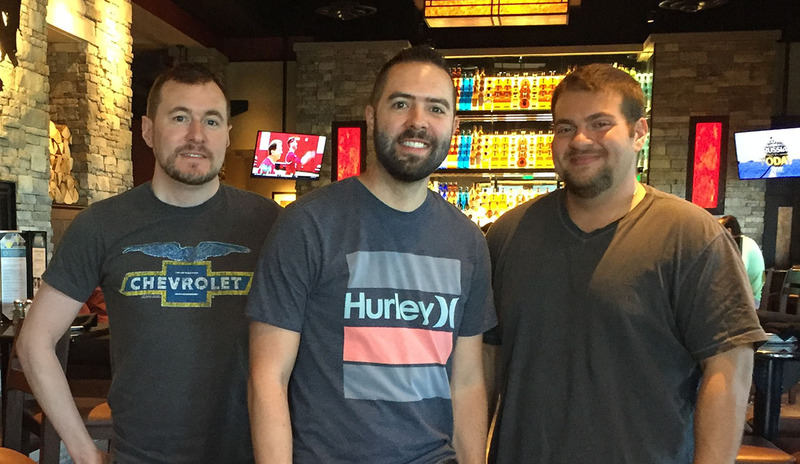 Each time one of us would get up from our seat to make another pass at the buffet, the servers would come around while we were gone and roll up our napkins again. There was a lot of fine attention to detail. 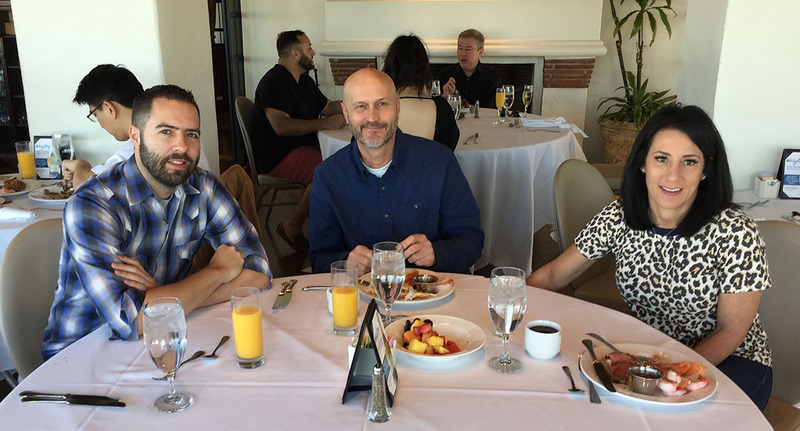 For $59 a plate, the Wrigley champagne brunch is definitely not a McDonald’s McMuffin value menu, but for a rare treat with special guests, I thought it was well worth it for a way to spend a classy Sunday and get a panoramic view of the city skyline on a crystal blue January day. 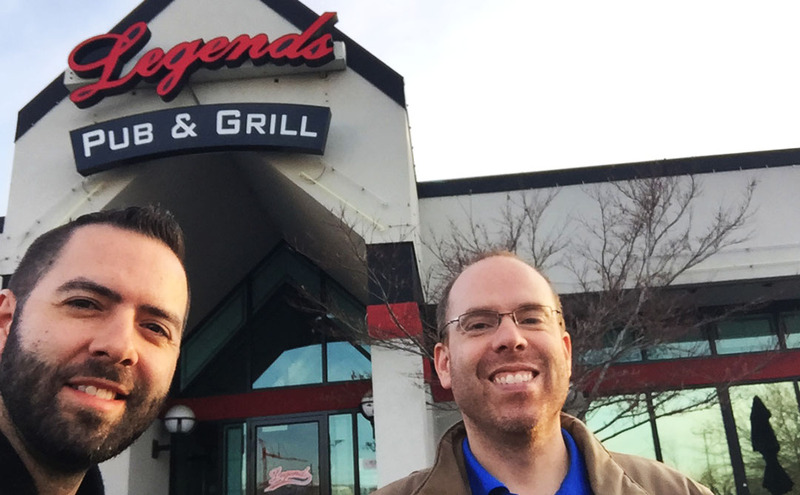 We returned to the valeted Legend feeling full and satisfied. 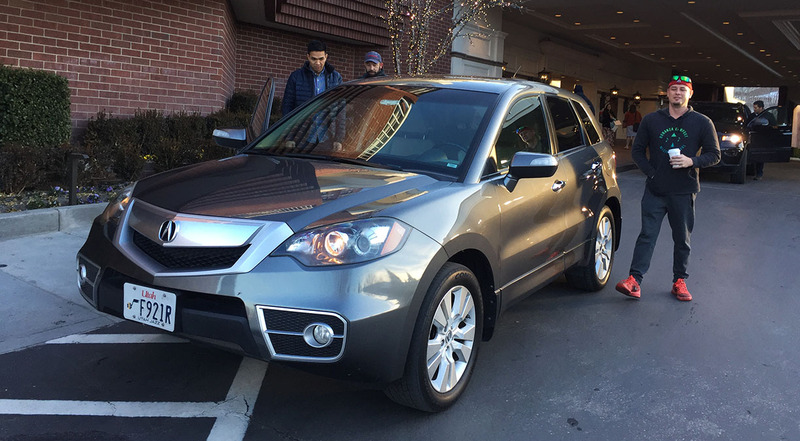 “You’re going to have to roll me to the car,” Tanya said. No wonder we weren’t hungry again until much later that evening. 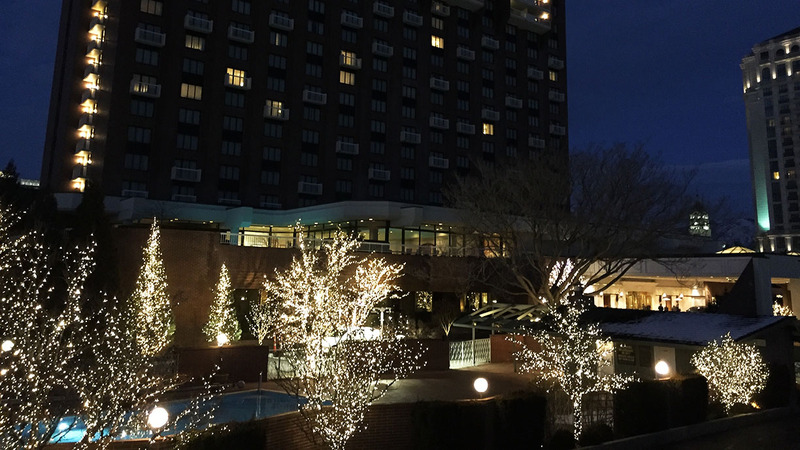 The revolving door at Hotel Hugie hasn’t had a break yet — the month of January I ran at nearly 100% occupancy and loved it. 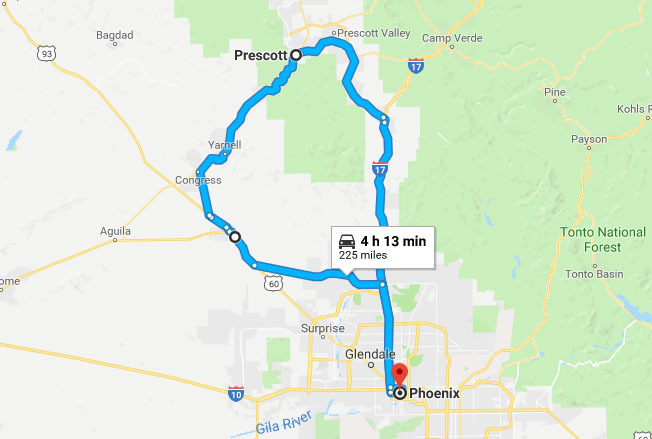 Last week, Dad & Tanya drove 1,421 miles in fewer than 48 hours from Seattle to Phoenix for a trade show called Oasis. 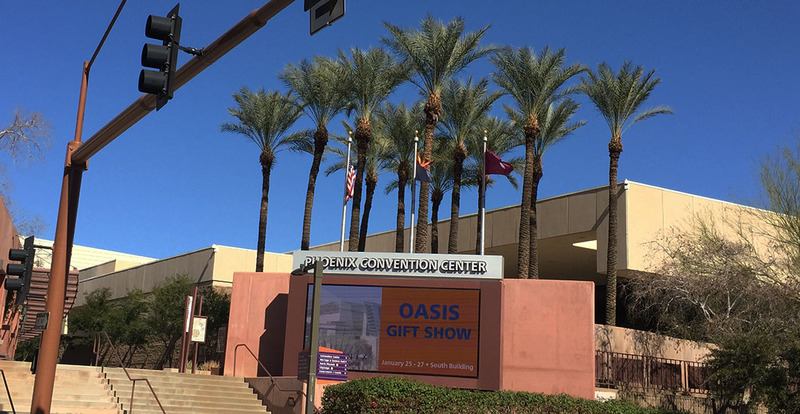 Each January, it draws more than 3,000 buyers to the Phoenix convention center to see and order knick-knacks and souvenirs for their gift shops and visitor centers. 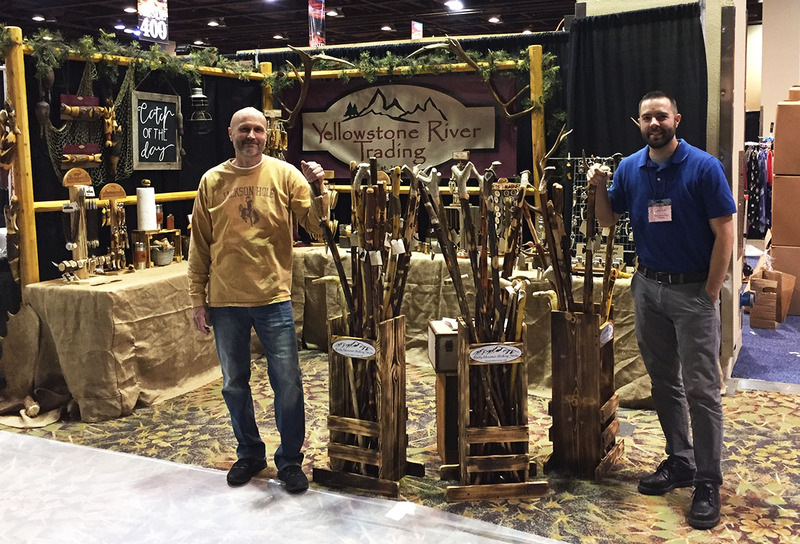 Dad and Tanya hand-craft wooden items like antler-adorned walking sticks, keychains, magnets, and money clips for their company, Yellowstone River Trading. 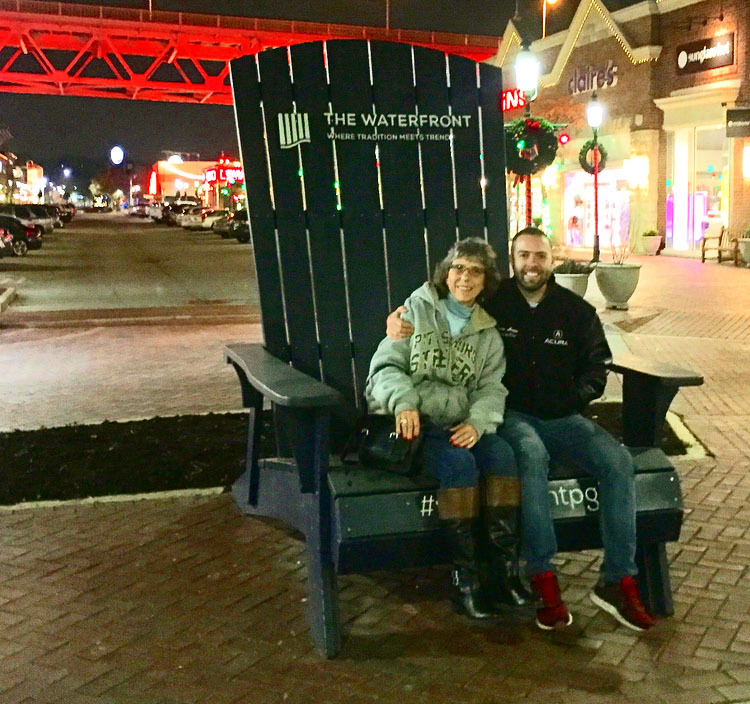 It was an action-packed few days with the family visiting, with lots of things to do outside the 9-5 trade show grind. 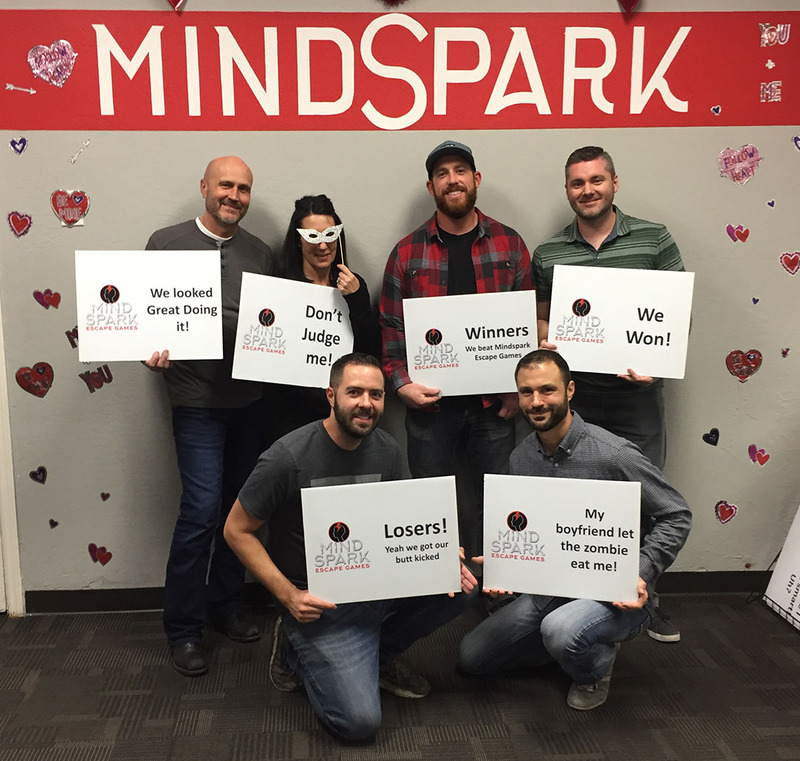 We dined at some new restaurants, visited an escape room, and took care of a few home improvement projects. 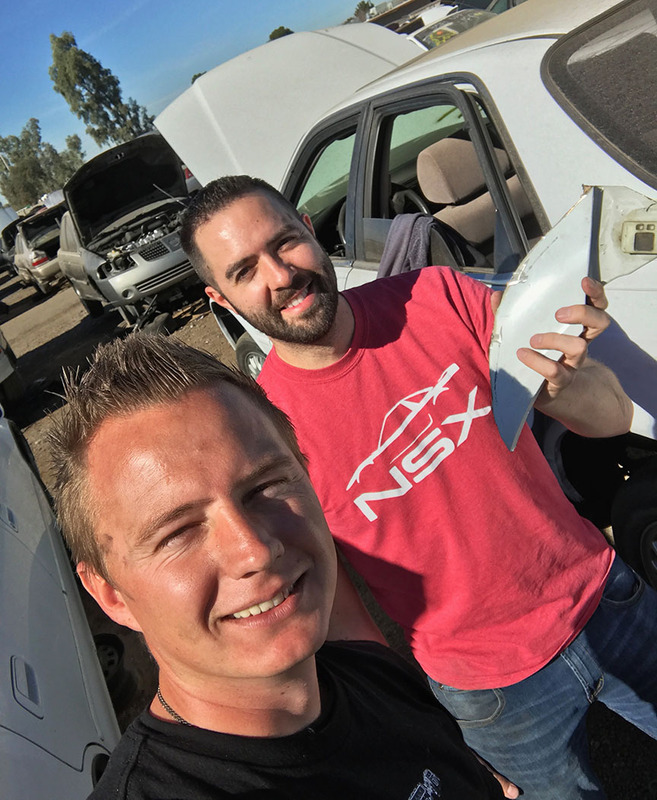 I also spent a bit of time at the local junkyard, harvesting a piece of a quarter panel to repair some damage to the left rear corner of my Legend sedan. It was my first time using a heavy-duty angle grinder and I am pleased with the results! Thanks to my friend Mirel for the tools and the expertise. New and old pieces of quarter panel. 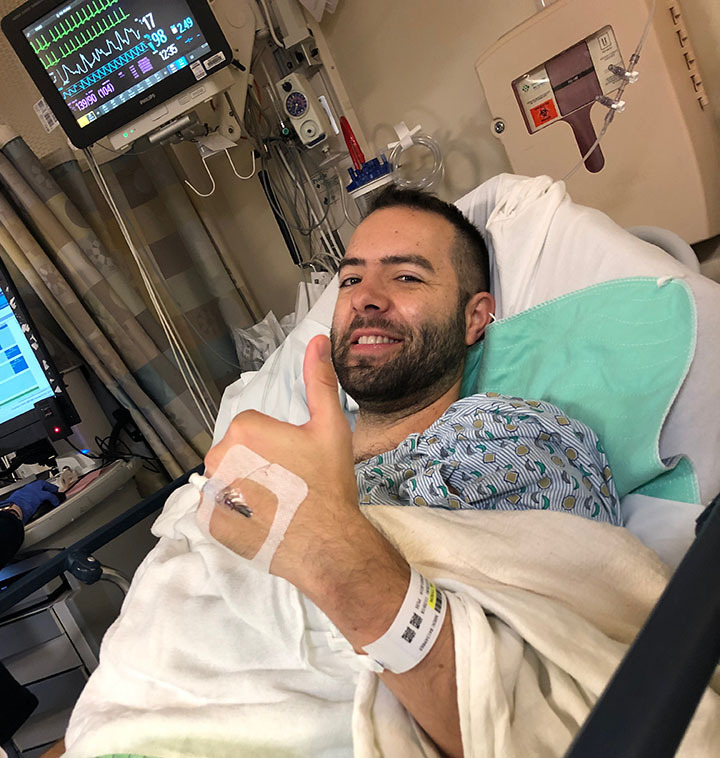 Updates to come! 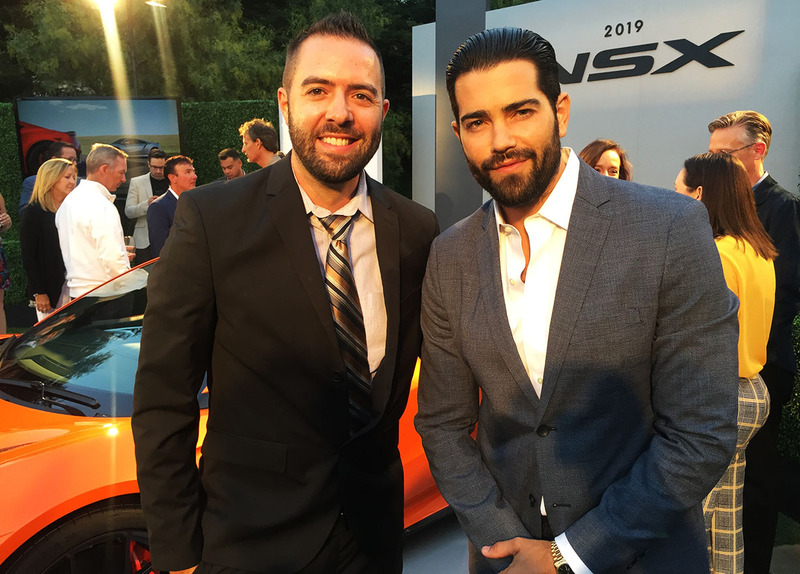 Below are a few more photos from recent events. I received a visit from Redline Reviews’ Editor-in-Chief, Sofyan Bey. 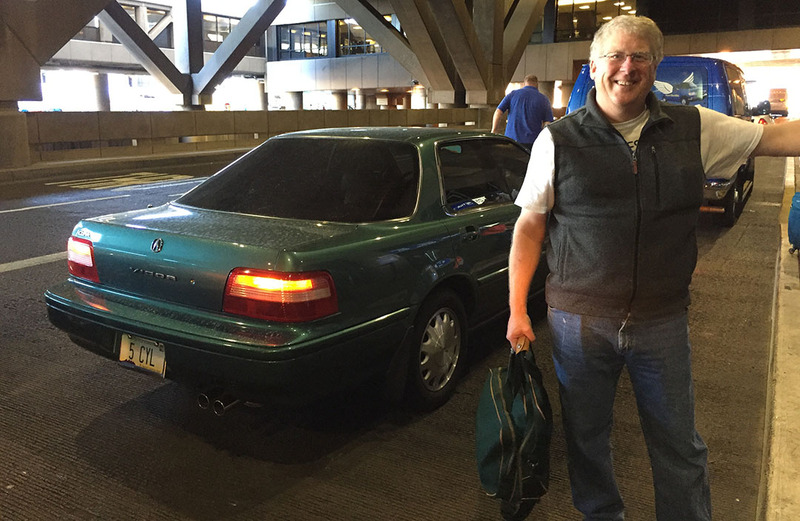 Here’s a 5-minute video filmed just before dropping Sofyan off at the Sky Harbor airport. 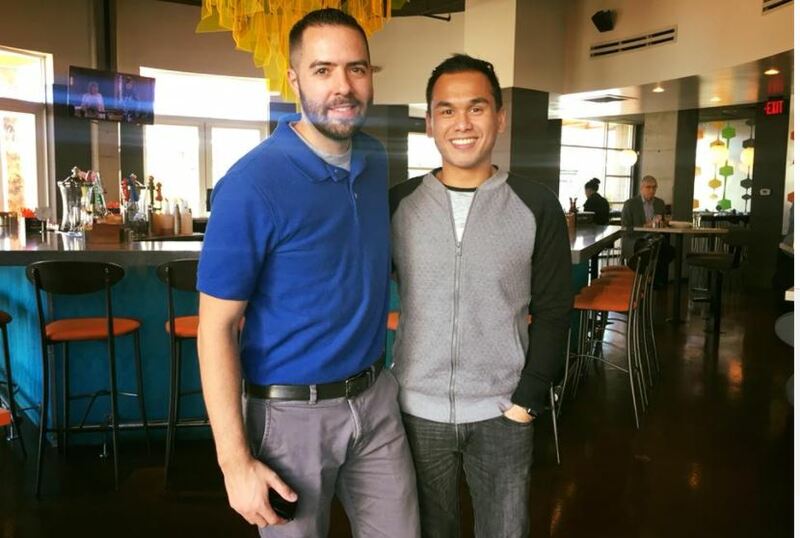 Earlier in the week, I dropped off Kevin from Duluth, GA. I’ve been to the airport a lot lately! 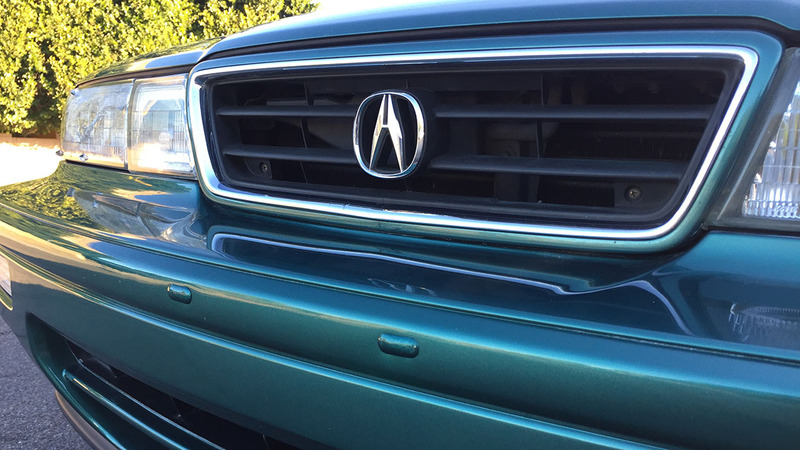 I got my front bumper plugs installed on the Vigor – paint matched & all! 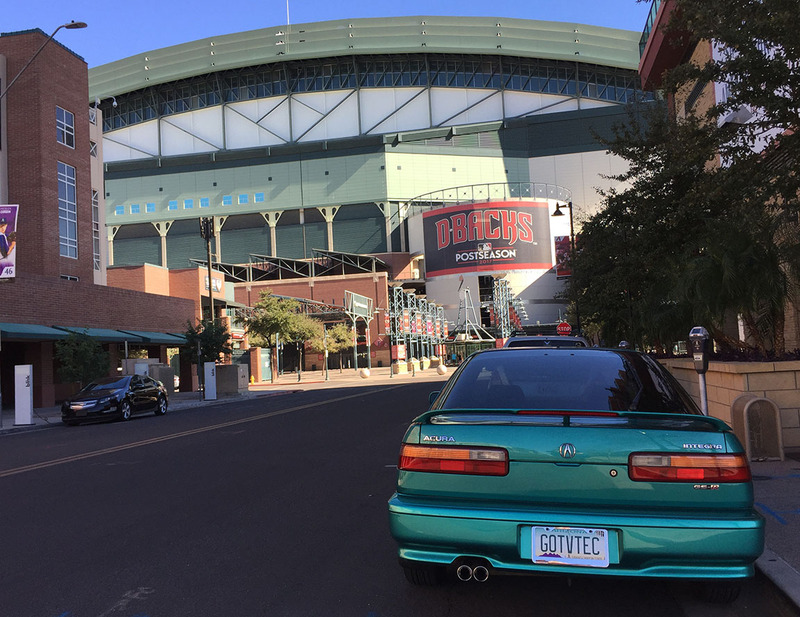 Integra parked streetside just west of Chase Field, where the Arizona Diamondbacks baseball team plays. Visiting the Oasis gift convention. 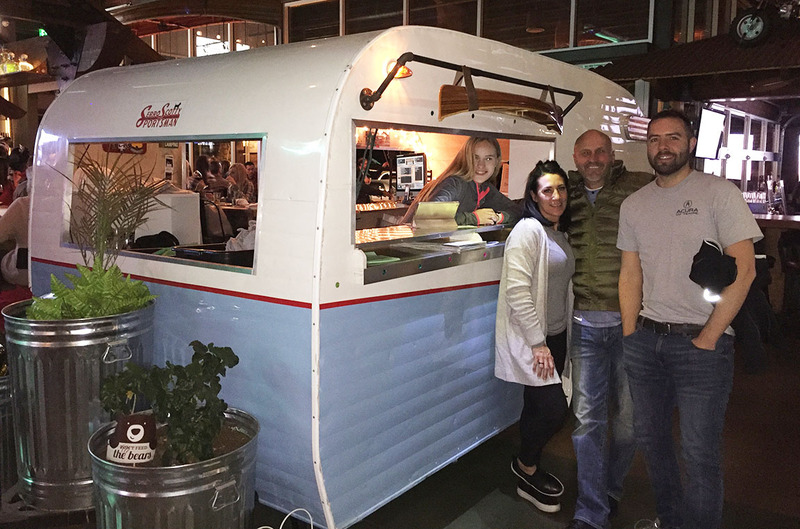 Dinner at ‘Camp Social’ restaurant on 7th Street in Phoenix – we ate in a little trailer like that! 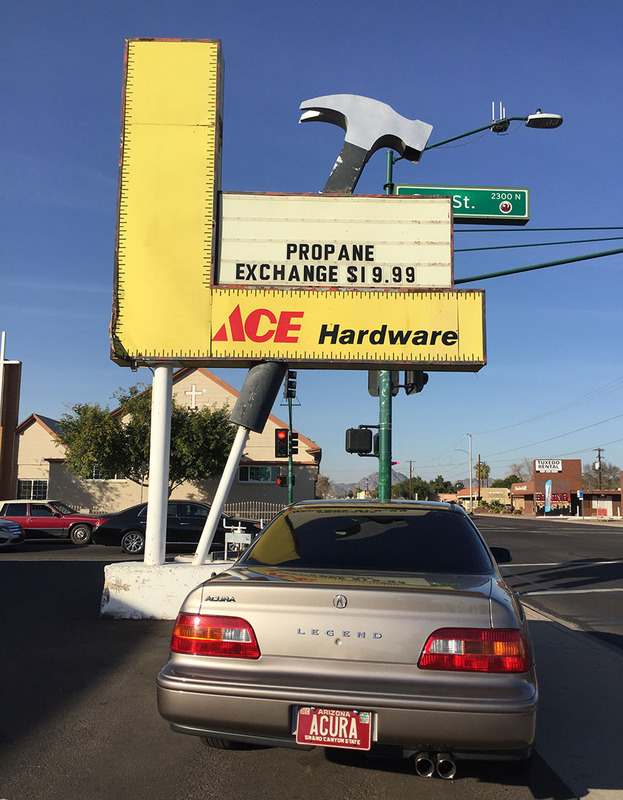 Pretty cool old-school Ace Hardware sign. 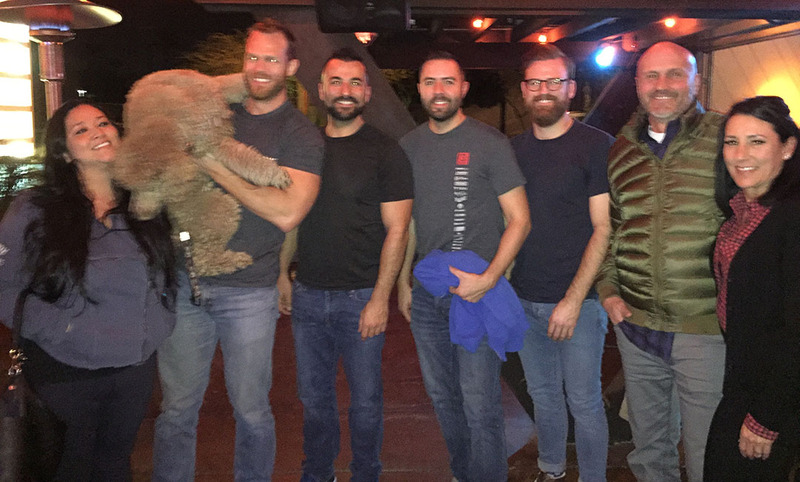 Dinner on the patio at Hula’s Modern Tiki, with special guest Jake the poodle. Home Depot on a Saturday in the coupe. 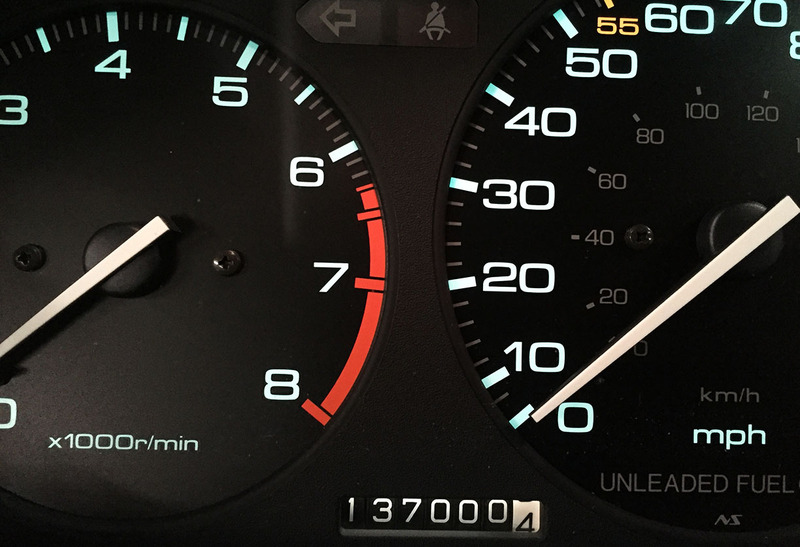 It had 349,271 miles on it! Headed back to real civilization after a few minutes living the high life. 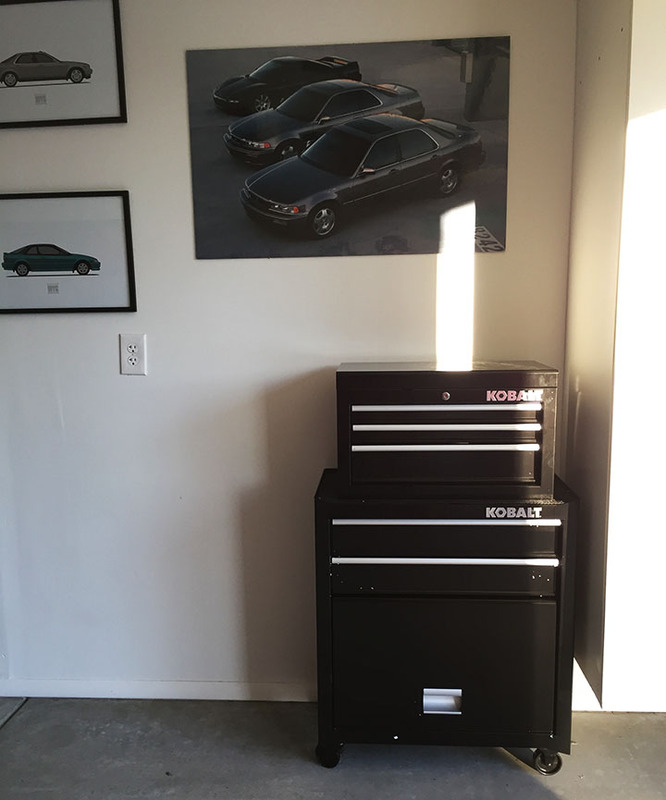 Organizing my new Kobalt tool chest! Fits right in in the garage. You are currently browsing the archives for the Misc Travel category.